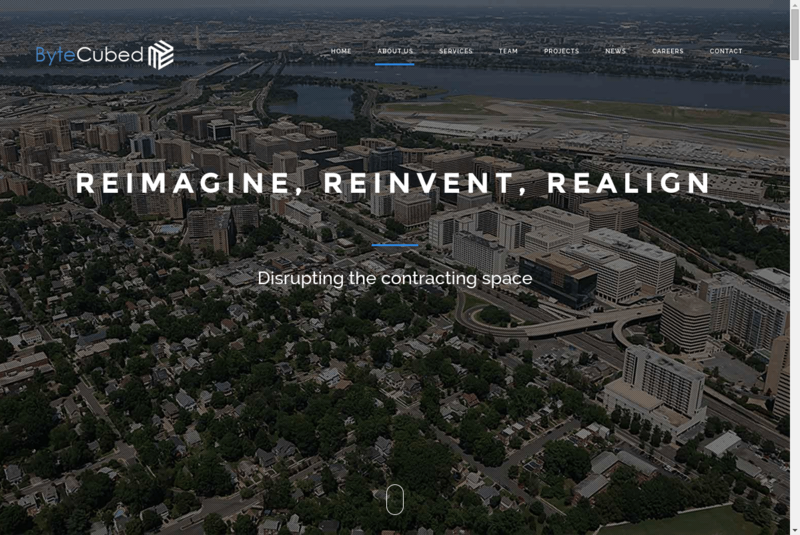 Examples of WordPress websites that can serve as inspiration. Hated by some and loved by many, it is clear that the new WordPress block editor does not leave you indifferent. It has been with us for more than a month now and more plugins and themes are compatible with it. As a plugin developer, I have to say that adapting our products to Gutenberg has not been something that can be done in a couple of days. At Nelio we’ve been following the evolution and development of the new block editor for quite some time in order to be able to maintain the same functionalities of our plugins with no significant changes. One of the key points to be able to adapt Nelio Content to Gutenberg was the ability of adding buttons in the text blocks to continue doing the same thing we were doing with TinyMCE (the classic editor). 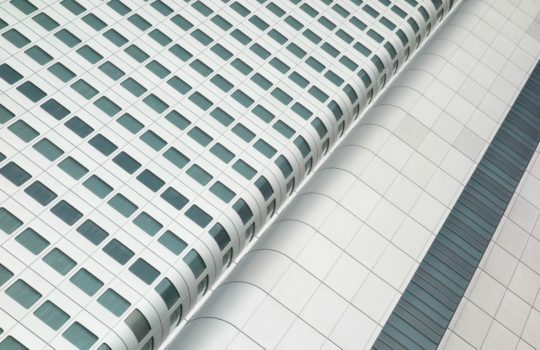 I remind you that one of the most interesting features of Nelio Content is to allow you to select phrases within the content to share them on your social networks directly, or to mark them and then our algorithm will select the most relevant and set up a series of automatic promotional messages. I explained it to you before in this post. Highlighting sentences to share with Nelio Content is one of the key features. 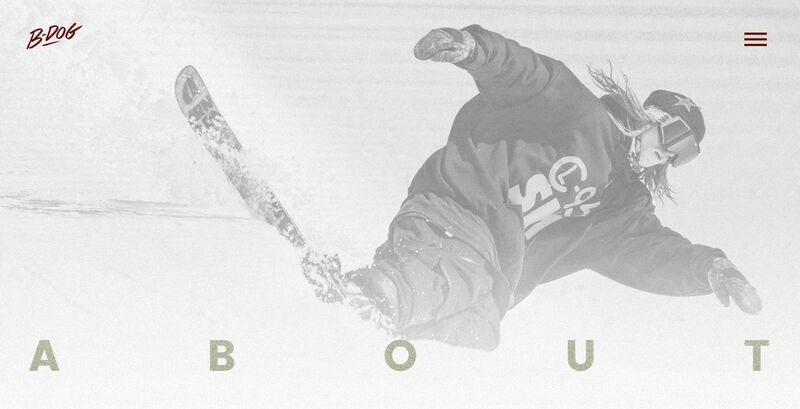 Here’s how you do it with the classic editor. To include additional buttons in TinyMCE, WordPress has a pretty complete documentation. But how do we do it in Gutenberg? How do we add a button in rich text blocs in WordPress? It is clear that keeping this functionality is key to continue providing a quality product such as Nelio Content, not only for our customers but also for ourselves, as we, too, are interested in using the sentence highlighting functionality in Gutenberg. For this reason, I decided to open an issue in the GitHub of the Gutenberg project explaining the problem and asking for help in January 2018 (almost a year ago, at the time of publishing this post). There I asked for the possibility of adding buttons to Gutenberg’s text blocks in order to work with the selected text in such blocks. The evolution of the issue was positive and in the end such functionality was added thanks to Gutenberg’s Format Types. Since the documentation is still quite poor (as I write this post), I’m going to explain how to add a custom button to the text blocks of the block editor, so you don’t waste your time and have an easier time than me. You’ll find all the plugin code that adds a button to the editor in this GitHub repository. Although it’s quite simple, I’m going to explain in more detail the most important parts of this project. In the icon attribute of RichTextToolbarButton you can put a string with the name of a WordPress Dashicon instead of the SVG. For the SVG to work, keep in mind that we use the svg-react-loader package that converts SVG files into React elements, which is what this React components need. 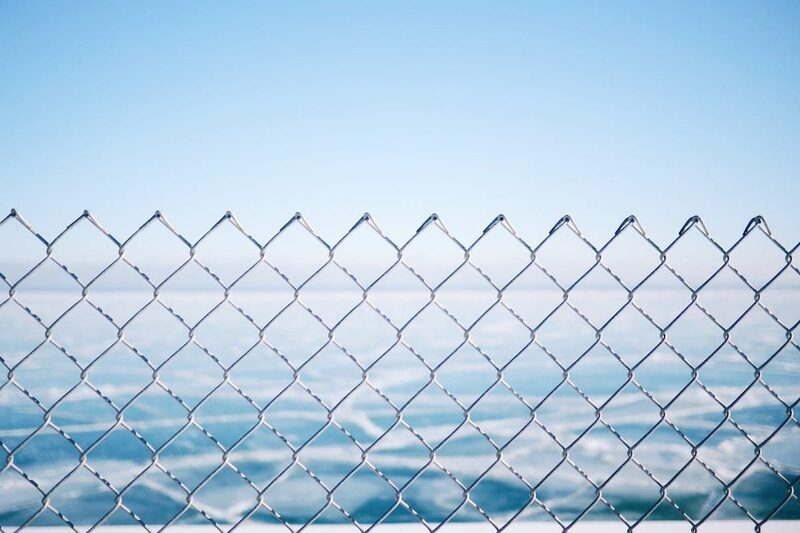 Note that the script is queued in enqueue_block_editor_assets hook, which is the one that assures us that the script will be loaded only when the WordPress block editor is used. If you want to try the code, download the GitHub project and move the folder to your WordPress within /wp-content/plugins. There, open a terminal and run npm install. You need to have NodeJS installed for everything to work and be able to include the necessary dependencies that our code requires. The custom button we just added in a rich text block in Gutenberg. When you open a post for editing, you will see the new button appear in the text blocks. If you select a fragment of the text and click the button, you will see the selected text appear in the browser’s console. This is what we expected to happen as we saw in the code above. This is only a minimum example of how to put a button in a text block. If you want the selected text to be modified when you click on the button, I encourage you to review the code of this plugin where several buttons with different, more complex formats are added. On the other hand, for those of you who want to go even deeper into the subject, I recommend that you look at the code of the GhostKit plugin, which modifies Gutenberg’s default interface by adding different additional elements. It is also a code that is very well structured and easy to understand. At some point we will have an official and detailed documentation covering all aspects of this Gutenberg features, but for now we have to read code to learn how to implement these types of modifications of the WordPress block editor. Good luck! Featured image by Ashim D’Silva on Unsplash. The best way to learn something in this life is to put it into practice. 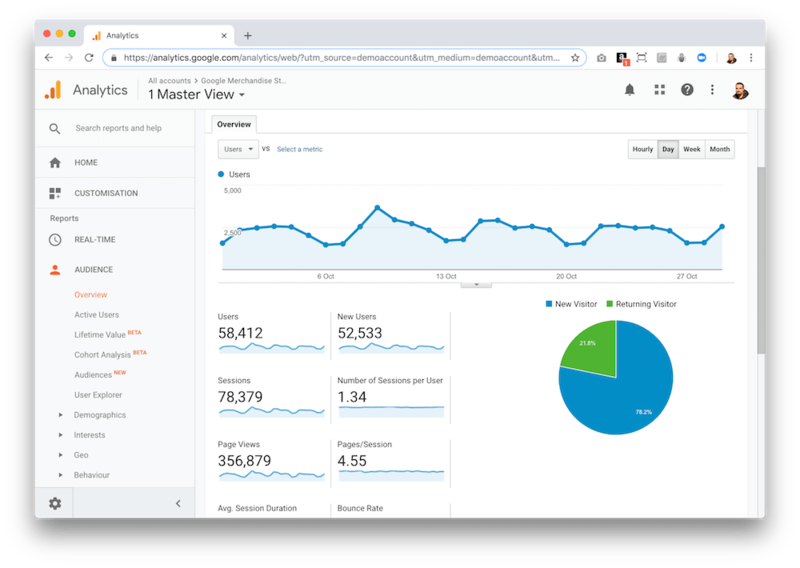 If you are one of those who want to master Google Analytics, no matter how much articles you read or how many courses you do, the best thing for this purpose is to try it yourself on your website. The main problem is that it will take some time to capture enough data to start drawing interesting conclusions by reviewing the Google Analytics reports. And if on top of that your website has little traffic, it will be even more desperate to start putting into practice what you have learned. Luckily for you, there is a solution so you don’t have to wait to have a Google Analytics account full of data to work on it and become an expert of this web analytics tool. But before we get started, let me tell you a little about the Google merchandise store 😇. It’s possible that you didn’t know about it, but Google has an official merchandise store where they sell a whole series of different products with their brand and those of their other star websites, such as YouTube. To be able to enter this store, you only have to go here. In the Google Merchandise Store you can buy products from Google, YouTube or Android. The first thing you may think when you see this store is if there will be many people who buy this type of products. Is there really a market to sell T-shirts, pullovers, glasses, stickers and other products with the brands of Google, YouTube, Android and so on? How much does Google earn each month selling swag? There’s a lot of swag you can purchase in the Google merchandising store. Google Analytics provides a demo account so you can test all the features that this web analytics tool offers. And the data for this account comes directly from Google’s merchandise store. A curious exercise of transparency that we all applaud here. 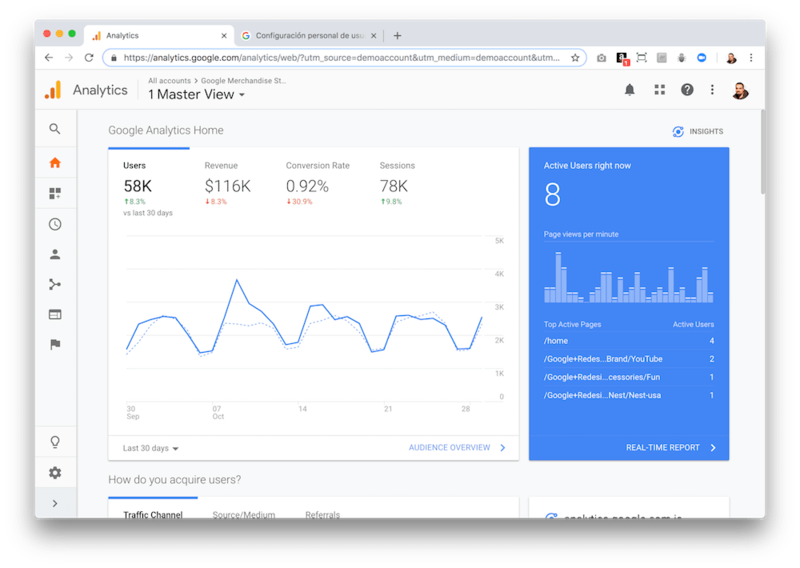 Google Analytics provides a demo account so you can play with it. To access this demo account simply visit this link. There you will find all the explanation of the demo account and you will be able to include it in your Google account, as if it were just another website you control in Google Analytics. Remember that you will need to have a Google Analytics account, something obvious to be able to see all this. 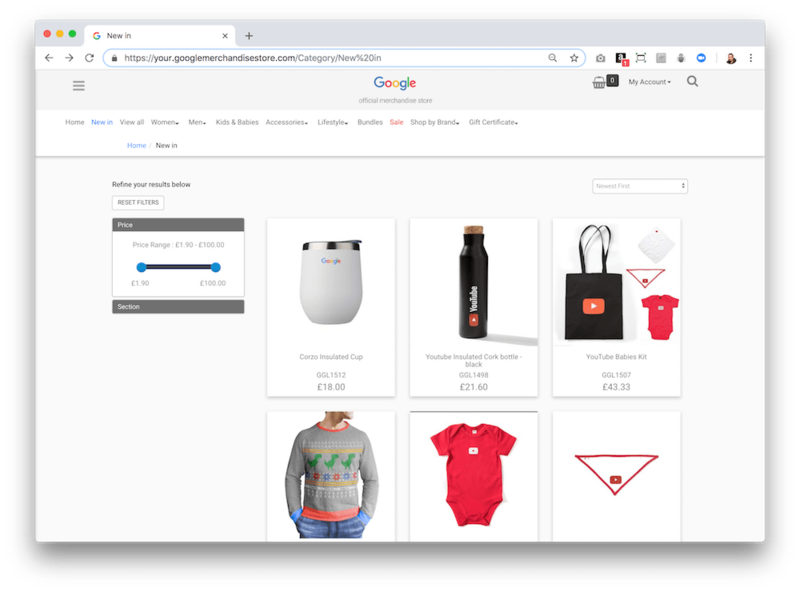 The main page of the Google Analytics demo account already shows us a lot of information about the Google merchandise store. Traffic source data: Information about where website users originate. This includes information about organic traffic, paid search traffic, and display traffic. Content data: Information about the behavior of users on the site. This includes the URLs of pages that users look at, and how they interact with page content. Transaction data: Information about the transactions that occur on the Google Merchandise Store website (purchases). 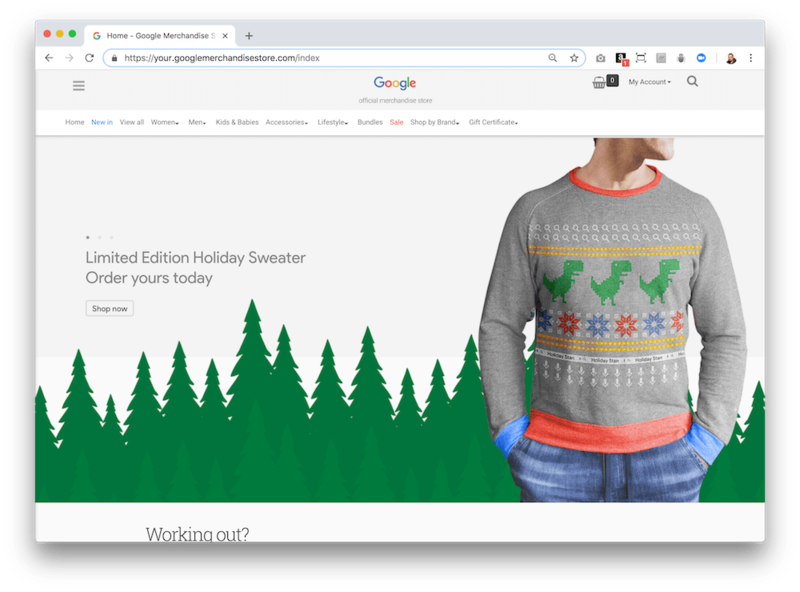 Want to see how many people are accessing the Google Merchandise Store right now? 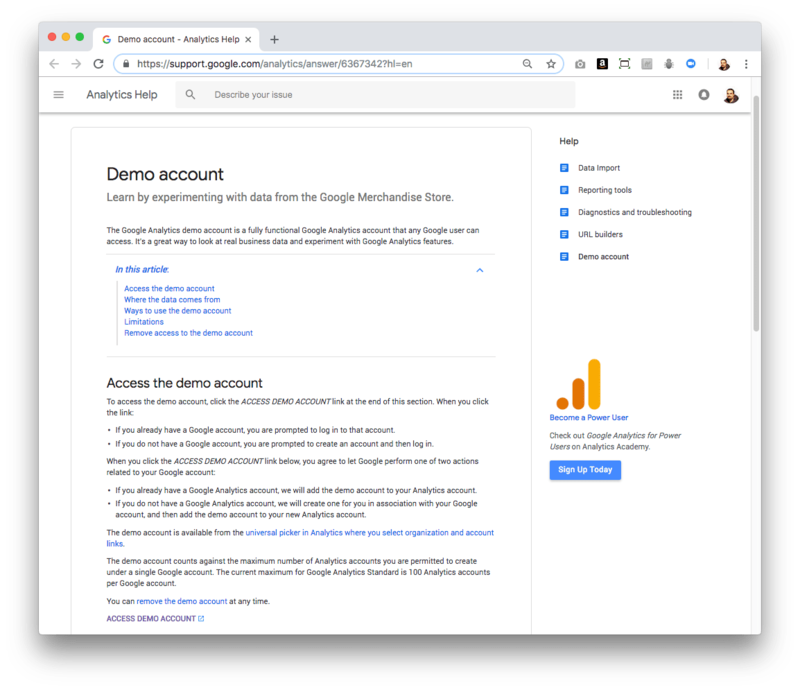 All users of the Google Analytics demo account have read and analysis access; that is, they can view configuration and report data, work with report data (e.g., filter a table, add a secondary dimension, or create a segment), but they can’t modify account settings or defined goals. This is normal, since as we said before, the access is read-only. You can learn all about the audience that accesses the Google Merchandise Store. 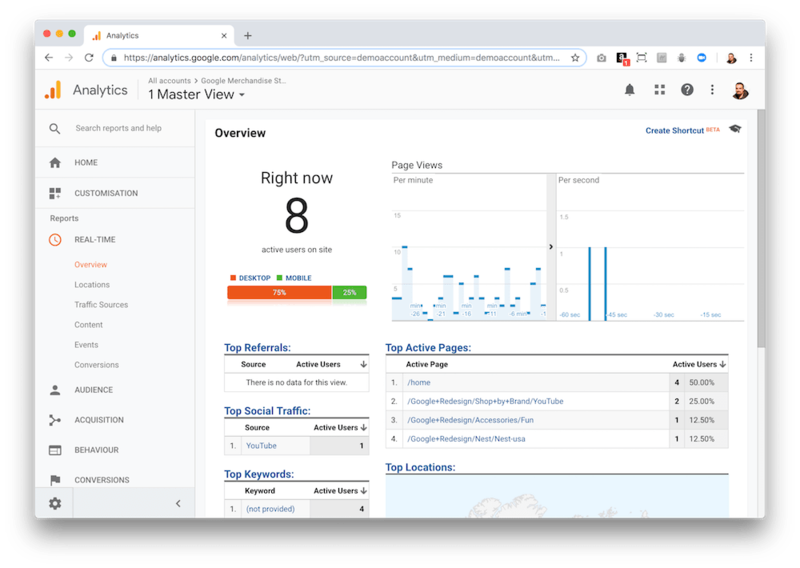 In the following screenshot of the Google Analytics demo account you can even see the sales funnel of the Google merchandise store. Note that all these data you see here is real data taken from the online store itself. And who knows? If you propose some improvement to their website to make them sell more, they might even hire you at Google 😉. 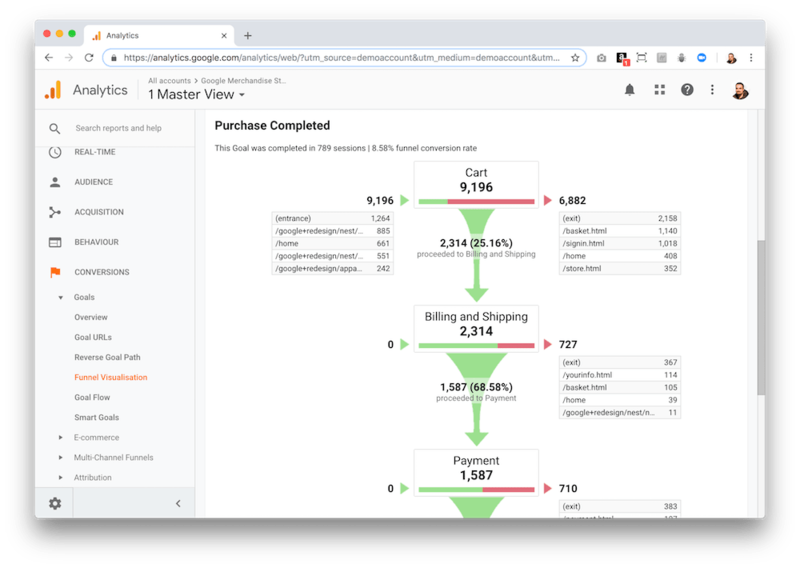 The Google Analytics demo account allows you to view the sales funnel of the Google Merchandise Store. If you want to know which product has sold most in the last 30 days or in any period of time, you only have to check it in the corresponding section of the Google Analytics demo account. It’s curious that when I’m writing this the thing that most benefits produced to Google was a security camera 🧐. 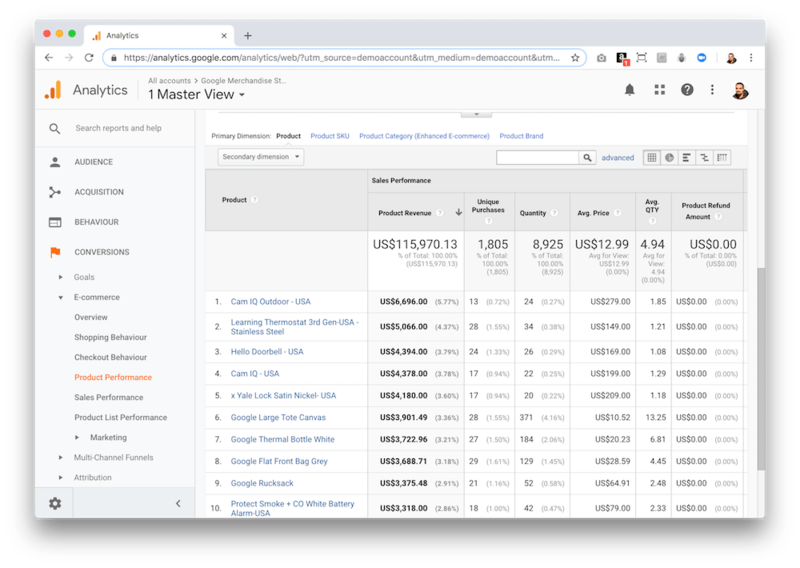 The Google Analytics demo account lets you know how much money Google earns for each product it sells in the Google Merchandise Store. Don’t waste another minute and see what you can discover with the Google Analytics demo account. To have a real example of analytics from an online store surely serves you well to learn a lot about it. Now you have discovered the possibilities that Google Analytics provides you with the Google Merchandise Store demo account. In this account of Google Analytics you have the real data of a web with an interesting number of visits and you can investigate the complete analytics of a real e-commerce system. This resource is very interesting if you are starting to familiarize yourself with Google Analytics but you are still a little bit scared or you don’t have a decent website in which to install a tracking code and start collecting data. You will be able to touch and watch as much as you want without fear of breaking anything, since you are in front of a safe demonstration environment. The dream of every student! I encourage you to take a look at it and start messing around with this demo account. You’ll learn a lot about Google Analytics and you’ll be able to apply your learning to your own website in the near future. Featured image by Jielin Chen via Unsplash. When we talk about marketing campaigns, you’re probably thinking of placing an ad here, posting on your social networks there, launching a few specific landing pages… Unfortunately, this approach is increasingly proving to be less successful. In this article, we will study how to create a successful marketing campaign for your business in five easy steps. 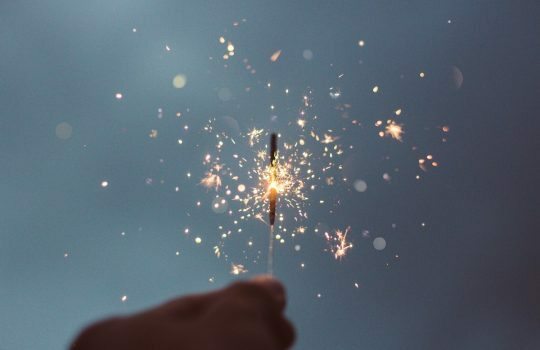 Before you start spending your money on advertising or your time and effort on meaningless actions, think about what you want to achieve with your marketing campaign. 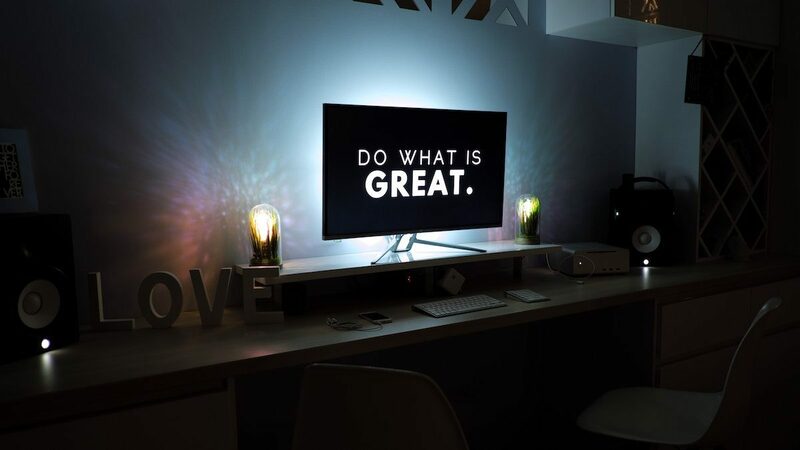 If you don’t know what you want to achieve with your campaign, you will hardly be able to assess whether it has been a success or a resounding failure. The key here is that the goals you define must be measurable. Setting realistic and easily measurable goals is not easy in a marketing campaign. Image by reubenarmstrong from Giphy. For instance, just saying “I want more visitors” does not help. You should study how many visits you have in a given period of time and estimate the percentage of growth you want to achieve in the next period. 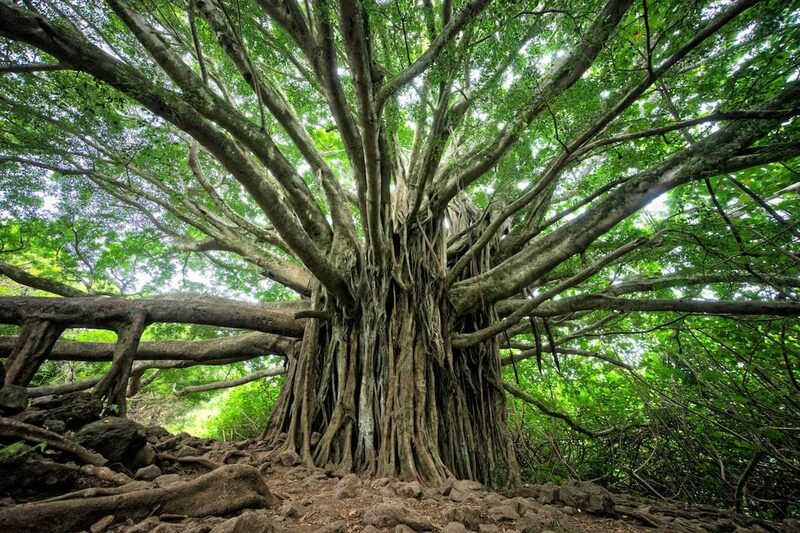 This way you can clearly assess over time whether or not your marketing campaign has paid off. And now it comes when reality slaps you in the face… Defining the objectives of a marketing campaign in a realistic way is not easy. It may seem like it is, but be aware that in marketing nothing is. The amount of money you can spend will directly affect the type of actions you can take in your marketing campaign. It is not the same to have thousands of dollars to spend on TV ads as it is to have more modest figures that will only allow you to put an ad on another website. This is not to say that low-cost marketing campaigns cannot have the same result as those that burn money like hell. But it’s clear that like everything else, money helps. Burning money on a marketing campaign just because you can is not a smart move. Source: Giphy. Always think first: is this the best/most effective/most convincing way to reach my client? In this way you can save money on launching actions that will do little or nothing for your marketing campaign. Remember, you don’t necessarily have to spend a lot, but you certainly will have to spend a little. Now that you know your goals and the budget you have to achieve them with your marketing campaign, what channels will you use? E-mail address? Social networks? Phone calls? TV commercials? Keep in mind that some communication channels will be more appropriate for your target market than others. For example, placing radio ads can be a complete waste of money if your target market does not regularly listen to the radio. The channel you choose to launch your marketing campaign has to be the right one to avoid this type of situation. Source: Giphy. Think about the places and habits of your target market when you choose the channels to reach them. Where do they spend their time? Where are they most likely to see or hear and pay attention to information about your products and/or services? In a magazine? At a bus stop? On their cell phones? Write exactly what you’re going to do and when. It doesn’t have to be elaborated, but writing down what actions you are going to take will greatly increase your chances of moving forward and will serve as a record to use when you go to evaluate the success of your marketing campaign. To clearly know the actions to do in your marketing campaign is essential. Source: Giphy. Think about the contents to be written on the web. Define the titles of the contents and convert them into blog posts. 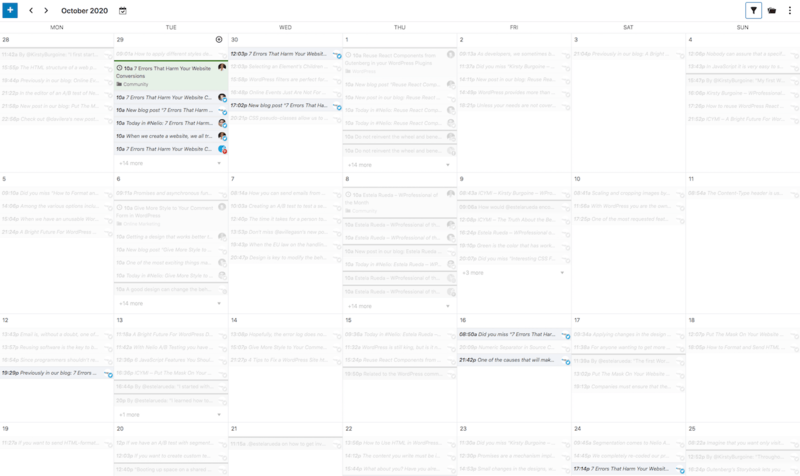 Plan posts in the editorial calendar and assign them a date and an author. Review the posts and schedule them for automatic publication. Plan the promotion of the contents on social networks for the coming months (here Nelio Content can help you a lot). This is an example of a simple campaign that you can easily carry out. Remember, the simpler, the better. Each time you complete an action, go back to your list and mark it with the date you completed it. This will keep you organized and you’ll love the feeling of progress you’ll be making. When the campaign is over, it’s time to see how successful it was. Go back to your marketing goal, measure what you decided to measure to determine the success of the campaign, and you will see what has happened. 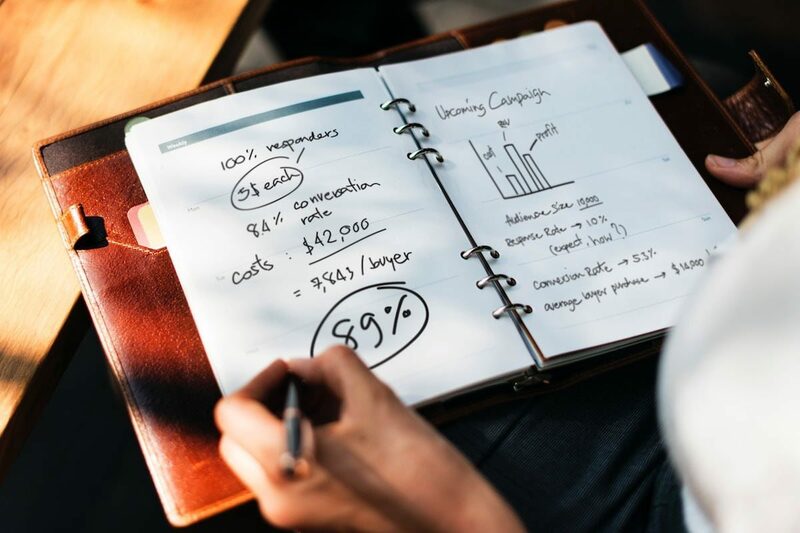 Once you have measured the results of your marketing campaign you will be able to make decisions about the marketing strategies you have used and the future campaigns to be carried out. The results obtained in your marketing campaign can be surprising. Measure, study, improve, and repeat. Source: Giphy. If the investment you made in Adwords ads hasn’t paid off and all your new visits have come from your social networks, boost that in the next campaign. Improve or eliminate what doesn’t work in your marketing campaigns and enhance what has brought you the most benefits. And, above all, repeat the process over and over again. This is the only formula that works for successful marketing campaigns. Any marketing campaign is better than none at all. This way at least your efforts to attract customers will have a strong foundation and follow a proper strategy. But making your marketing campaign a mass success is difficult (I said difficult, not impossible). That is why it’s important to learn from others and that’s why I decided to end this article by showing you some of the campaigns that were once successful, far exceeding the goals they had set. Funny, right? The video became viral (at the time of writing this article it has 55 million views) because it is very different from what you would expect from such a brand. But Old Spice’s marketing campaign didn’t stop there. Taking advantage of the momentum of the video, in June they launched another one with the same actor and also created almost 200 short videos in response to the comments they received on social networks such as Twitter or Facebook. Thanks to this, the brand got 29,000 new fans on Facebook and 58,000 more followers on Twitter. Lessons learned: Making a marketing campaign totally different from what is expected from you or your brand can be a good way to stand out. If you also take advantage of the momentum and are proactive in answering the feedback you receive, you will have a guaranteed success. Apple’s marketing campaigns have always been a wonder, but Get a Mac made a huge difference for Apple. A lot of people discovered an alternative to the PC thanks to this marketing campaign. The company saw its market share grow by 42% in the first year thanks to the help of this video series. These ads explain to the Apple audience everything they need to know about the product in a simple and intelligent way. Lessons learned: Explaining the benefits of your product in a simple and clear way is key to making your marketing campaign work. If you are also able to compare yourself with your competition by highlighting your advantages, then so much better. In the summer of 2014, the ALS Association (which helps to investigate amyotrophic lateral sclerosis) asked its followers to do one of two things: make a donation or throw a bucket of ice water over their head. This challenge was known as the Ice Bucket Challenge. If you accepted it, you also had to nominate others to do it. The idea is simple, either you get a donation or you recommend others to participate. In this way, little by little the challenge became viral on the Internet and many celebrities joined the cause. The campaign raised $115 million, in addition to global media exposure. Lessons learned: Exploring other channels besides the traditional ones to launch your marketing campaign can be a very good alternative. Trying to get your customers to do the advertising for you or help you find other potential customers is great. By January 2008, Airbnb’s founders, Brian Chesky and Joe Gebbla, had squeezed the most out of their savings and their credit cards were in red. They had no choice but to do something desperate in order to get funds and continue with the project. 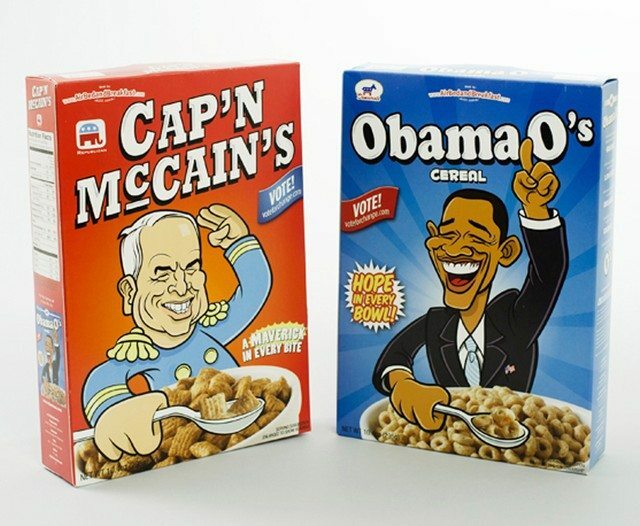 Taking advantage of the electoral campaign in which Obama and McCain were fighting, they thought they could promote Airbnb by giving original cereal boxes to bloggers and journalists: they created 500 boxes of personalized cereals with Obama’s caricature, in blue, and 500 with McCain’s, in red. The cereal boxes that made AirBnb keep going. In addition to sending them to the press, they sold the boxes of cereals for $40, making a profit of $20,000 that allowed them to continue their adventure. An example of how creativity can find solutions to real problems. Lessons learned: Sometimes marketing campaigns that may seem crazy at first are not so crazy in the end. We have to think beyond the problem we have in front of us! The latest trend in video games is (at the time of writing this post) Fortnite. This is a free video game (with in-game purchases) whose Battle Royale mode is a worldwide hit. The funny thing is that Epic Games launched the game without this particular mode in 2017. But they saw the success of the video game PlayerUnknown’s Battlegrounds (PUBG) and copied the mechanisms of this game in Fortnite, launching the Battle Royale mode we mentioned earlier. At first few took it seriously, but slowly and by fixing the bugs in the original, as well as taking into account the feedback from the gaming community (something that PUBG apparently didn’t do), it has become the dominant player in the market. Lessons learned: Copying your competition can be a perfect marketing campaign if you avoid the things they do wrong and power your strengths. E-commerce: the main purpose is purely commercial by selling your products, works, etc. Actually, a single site can try to fulfill more than one goal at a time, which means the final designs we see are varied and incorporate very different elements in their design. Today I’d like to share with you 15 personal web designs (based on WordPress, of course) that I think might inspire you. His website was designed by Blogestudio. What I like the most about it is its absolute sobriety and simplicity, clearly in line with the expected image of a professor of IE Business School. And of course without any kind of advertising that would disturb the reading of the articles. The main page is the blog itself and, as a result, the quality of the content of its articles is outstanding. 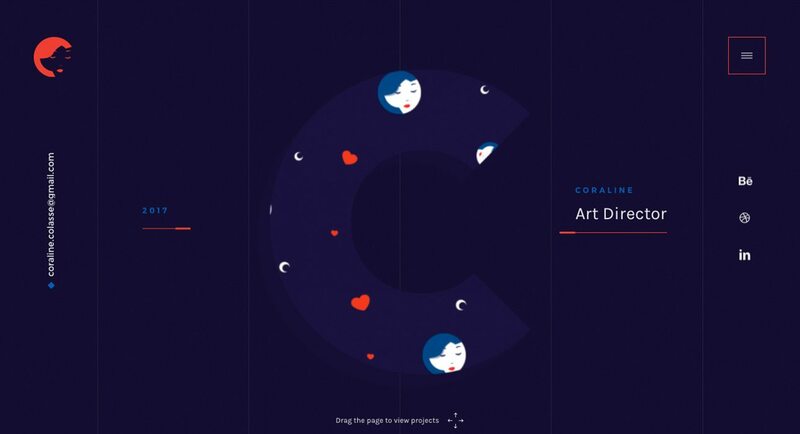 Coraline Colasse is a Parisian art director. 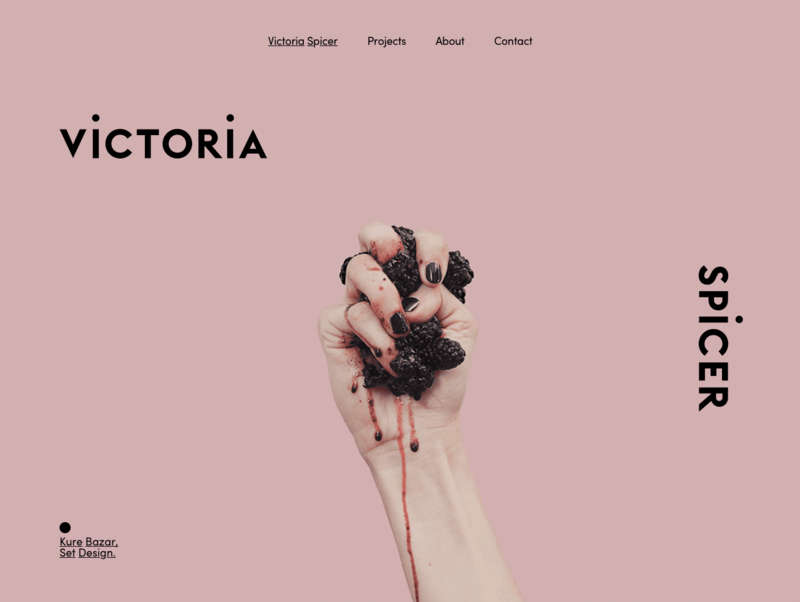 Her website has been designed by Fabio Carretti. This website is very original—browsing on the home page is done by selecting and dragging the mouse. This motion reveals the author’s different projects. Although I personally didn’t find this functionality very intuitive at first, it gives a unique artistic touch to the web. This isn’t a portfolio about design. I’m not trying to tell people “Hey, this is how you design.” Instead, this portfolio is designed to communicate what design means to me as a person. His website includes video, sound, and a whole set of animations that create the impression that you’re watching a movie instead of a website. Nice! 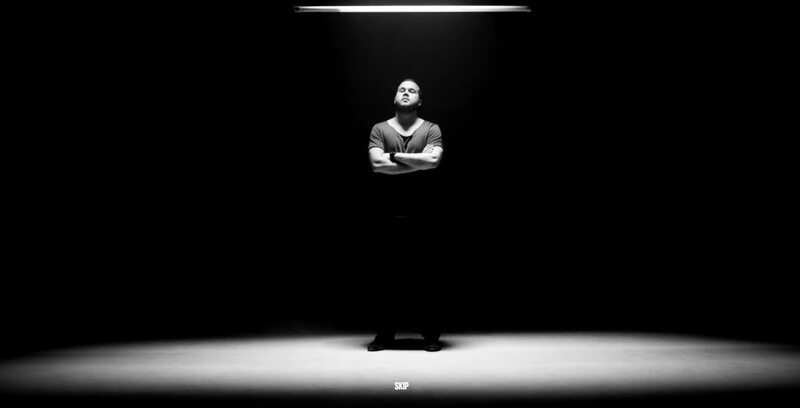 Jony Guedj is a freelance film director making commercials, music videos, short-films, and, as a good Italian, pretty good pasta. 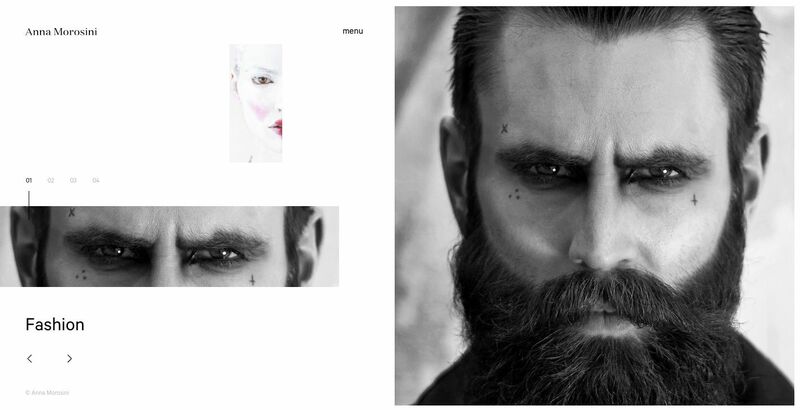 His website has been designed by Benjamin Guedj. 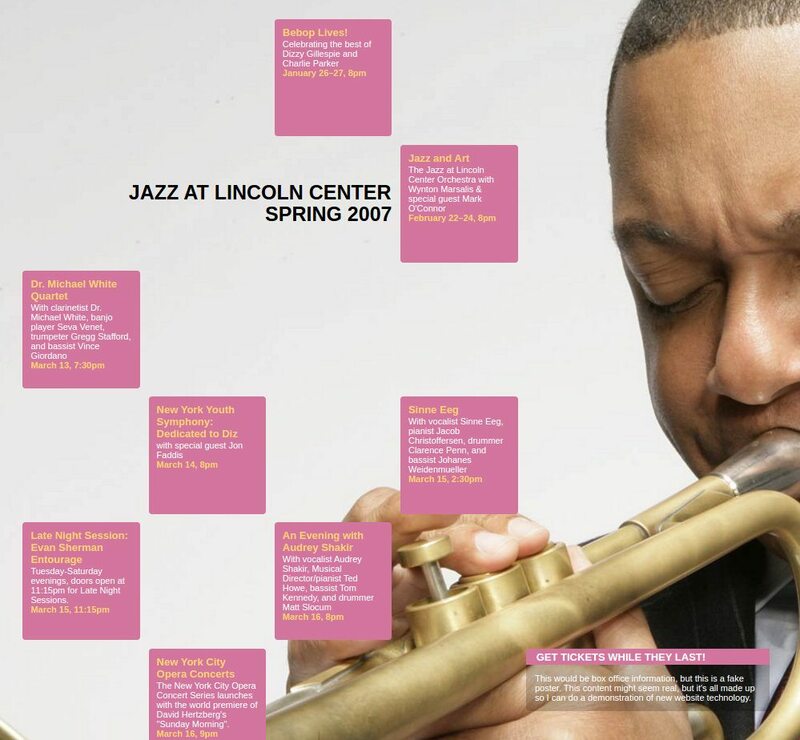 The most striking thing about the design is the visualization of the portfolio of the author in a horizontal sliding gallery, quite different from what we’re used to! Anna Morosini is an Italian photographer who graduated in Modern Literature and holds a Master’s degree in High Level Contemporary Image at Fondazione Fotografia of Modena. Her website has been designed by Gusto Ids. The animated and minimalist design invites you to enjoy the visualization of Anna’s incredible and sensual photographic work. A design perfectly aligned with the author’s work. 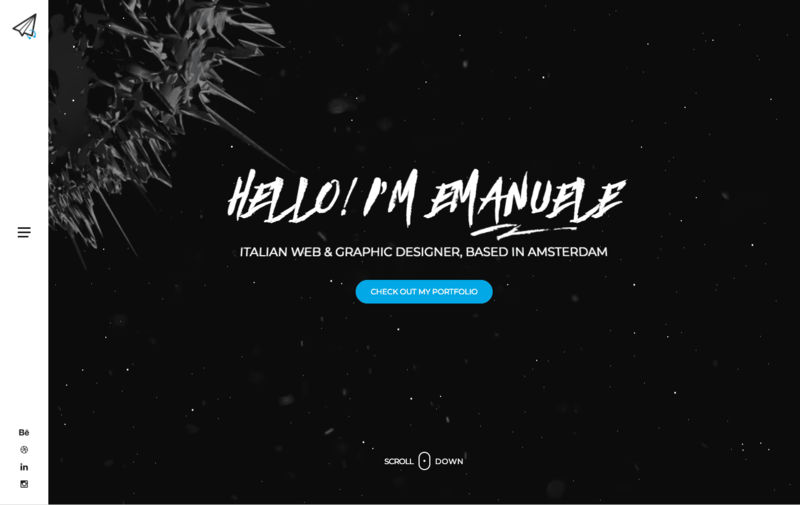 Emanuele Papale is a web designer from Pisa currently working in Amsterdam. The aim of his website is to showcase his design capabilities along with some projects. The menu is vertical and the portfolio display with animations is original. I guess I don’t have to introduce the pop star, Katy Perry. Her WordPress website is a clean and daring site, which manages to combine the artist’s personal pop image with a magazine style functionality. Super easy to use! 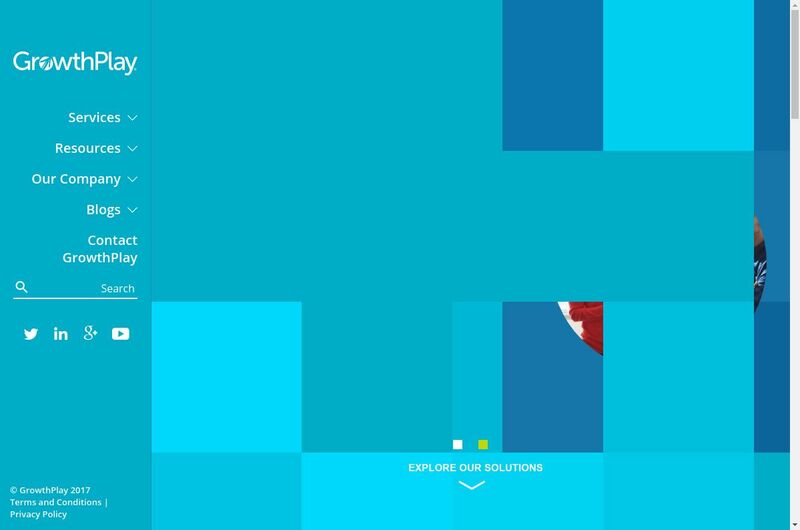 Perry’s website proves that you can have a lot of personality using just a simple white background and easily navigable links, giving fans the option of listening, viewing, and learning easily as they please. 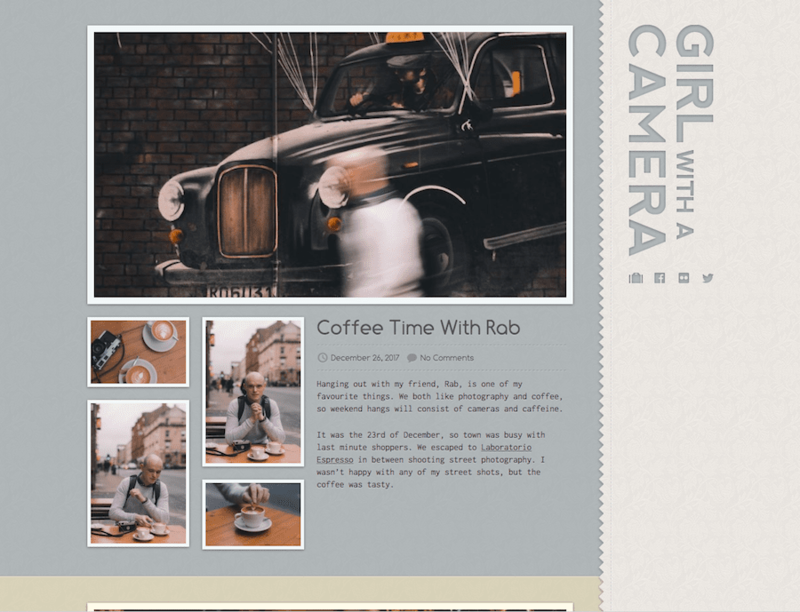 Girl With a Camera is Ashley Baxter’s photography blog in which she shares photos of her life and commissioned work. Ashley’s website was designed by Matt Brett. I’d like to highlight from its design the way in which the design and background color of each post can be changed to better suit the content. 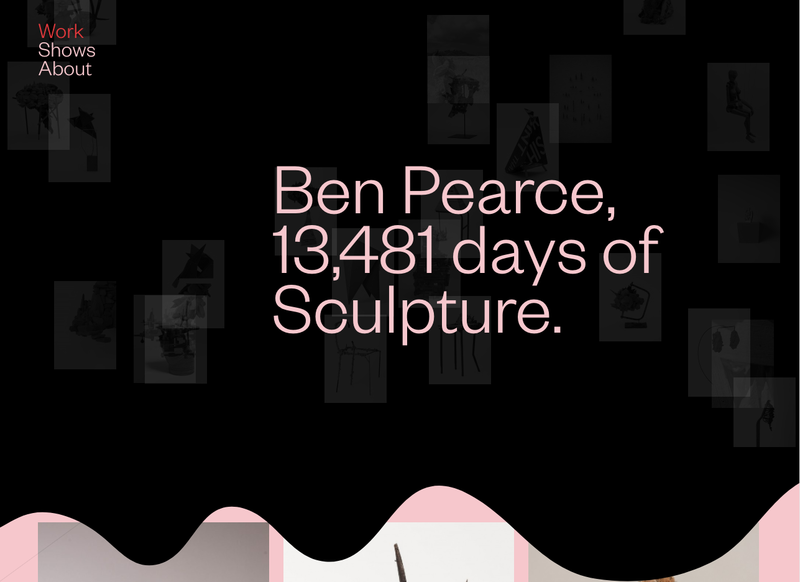 Ben Pearce is a sculptor who graduated in Fine Arts in 2003, specializing in sculpture at Whanganui Quay School of Fine Arts and has exhibited regularly in New Zealand and Australia since then. The design of his website, by Nick de Jardine, is very minimalist and the navigation to show his different sculptures invites you to continue browsing to see his work. Victoria Spicer is a set designer and prop stylist, working in London. Her website is also designed by Nick de Jardine. In this case, I would also highlight the originality of the page loading process and the navigation flow. Tyler Fink is a graphic designer in Ithaca, New York. His great website has been designed by himself. 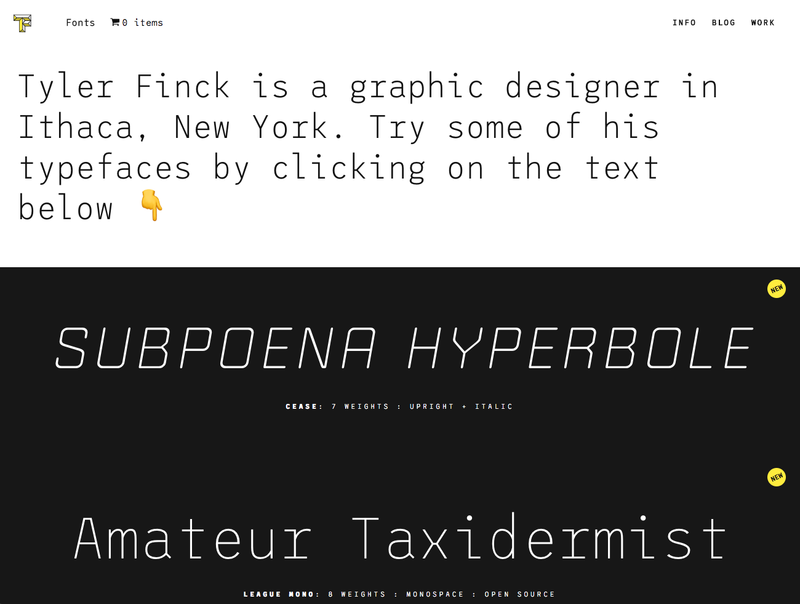 I love the home page layout that allows you to write directly on top of each typeface the text you want and test if you like it—it perfectly achieves the objective he wants to achieve with his website! 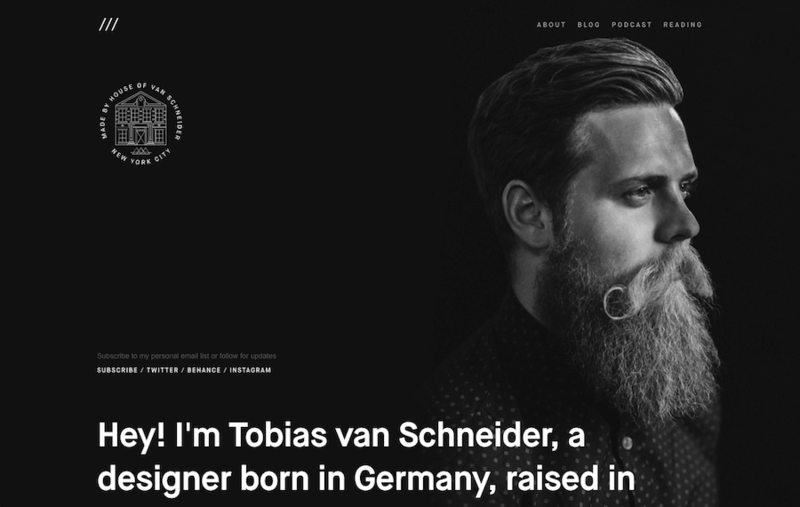 Tobias van Schneider is a German designer with great recognition in the design world. In his website, designed by him, you will discover his sources of inspiration, his secrets for success, and various career tips, along with many other ideas of this sector. Tobias Van Schneider website screenshot. The design and content of his website can be very inspiring if you’re thinking of an original design for your website. 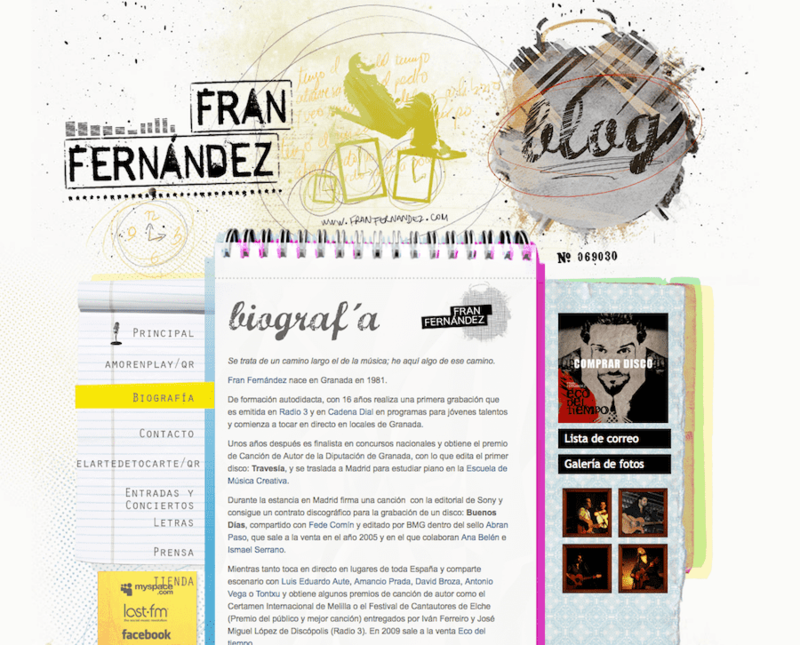 The blog of the Spanish singer Fran Fernández has a graphic design very expressive and slightly charismatic, which reflects the passion and personality of the musician. His web has been designed by Guido Carini. 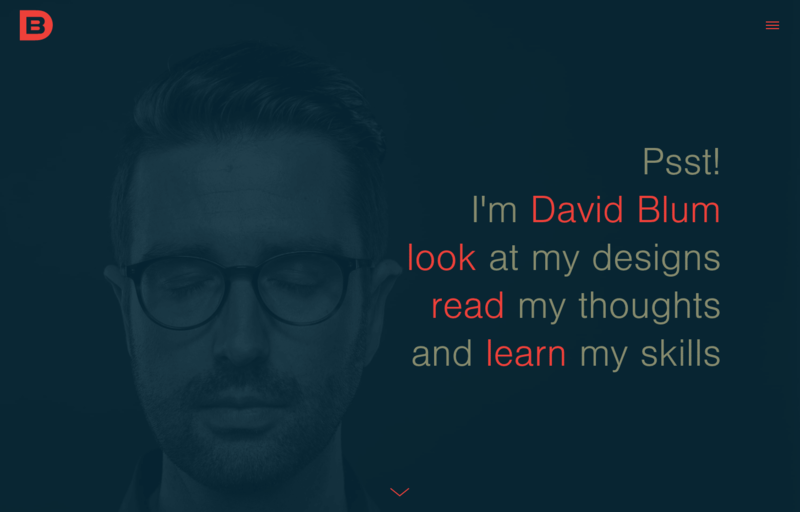 David Blum is a Swiss web designer who has designed a minimalist website to showcase some of his design work. You can also read his inspiring articles and see his resume. I like the design of this website that has a clear objective and achieves it with the minimum, in a clear and simple way. As you can see, my selection has been quite varied in terms of design elements, some of these pages being very new. Even if you don’t like (some of) them, they prove my point—personal websites should reflect the personality and creativity of their authors. And that should be one of the main objectives that any web design should achieve, don’t you think? What are you waiting for to add your personal WordPress website in the comments section? We want to see them! Featured Image by Martin Shreder on Unsplash. 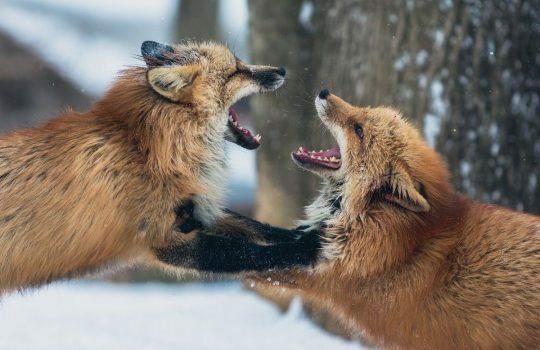 Know where and with whom you really compete: identify your most remarkable competitors and know who’s doing things right, who isn’t, and what the market trends are. Detect where to differentiate yourself and new business opportunities: if you enter a market where other competitors are already there, you have to offer something different, innovative, and better, so that you can acquire your own customer base. During this process, you might even be able to identify a niche market that your competitors are not serving. 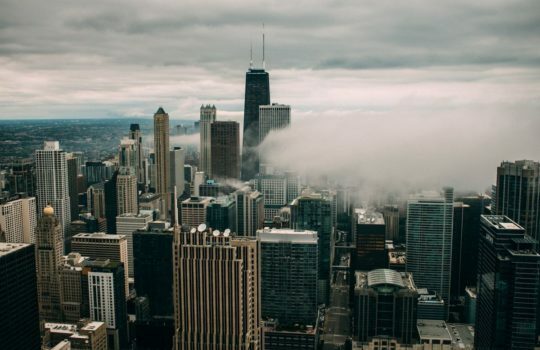 Forecast the future in the market: analysing what your competitors and your possible partners are doing, who’s making investment rounds, or which are the current consumer trends can help you to anticipate problems and opportunities and act accordingly. In fact, this last point has in our case been the key precursor in the creation of our products Nelio A/B Testing and Nelio Content. Knowing that there were very new companies with already good products on the market (products that we thought could be improved), with an incredible growth forecast (due to recent large investment rounds) and other additional information that we could observe, served to validate that (1) there was a big market and (2) our competition was focusing on large companies, leaving smaller customers unattended. And this is where we saw that we could fit in by providing WordPress plugins that were very easy to use without the need for technical knowledge and that could be useful and practical for any blogger or company with the aim of improving their website and increasing their audience with few resources. The analysis of your competition is not only done when you want to set up your own company or you must decide what products to create. It is a continuous process that you must carry out throughout the life of your company. To analyze how your competition is doing, you have two options: either you become one of their customers or you use tools that allow you to “spy” on them (how they advertise, what keywords they use, what’s their popularity of external links, their web ranking, their mentions on the Internet or social networks, etc). Unfortunately, there’s one thing you won’t be able to know using any of these methods: what they do to optimize the conversion rate on their website. You probably already know that the best known techniques for optimizing your website’s conversion rate optimization (CRO) are heatmaps and A/B tests. The baby is getting all the attention. A very interesting heatmap. 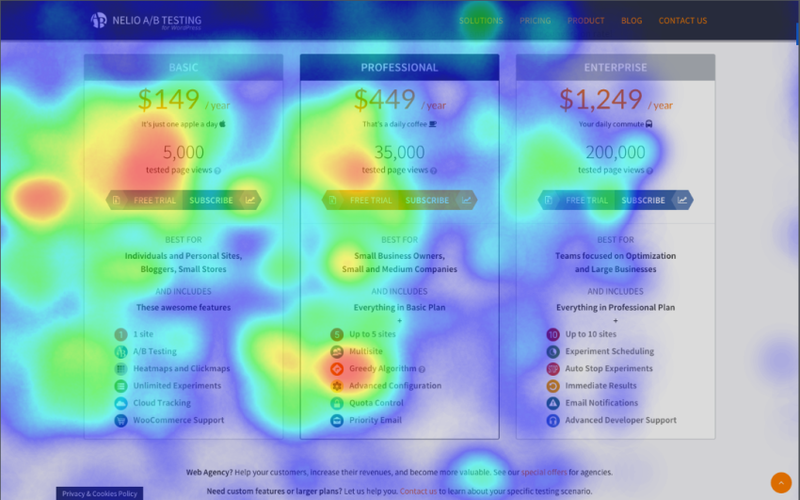 Heatmaps help you to detect the weaknesses of your web design. As you see in the image above, the baby is so cute that he gets all the attention, even though that probably wasn’t the goal of the website. On the other hand, A/B tests allow you to have two versions of a page on your website simultaneously, showing different content to your visitors (half of your visitors would see version A and the other half would see version B) and allowing you to evaluate which version is working best. 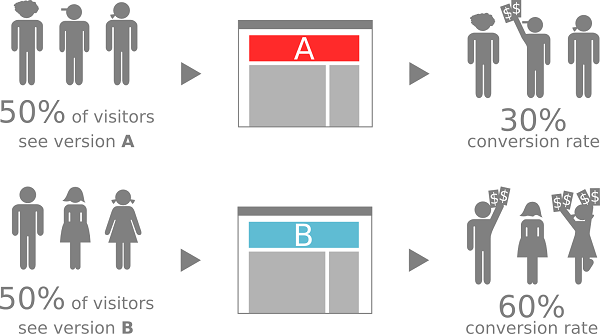 In its simplest form, A/B testing proposes to randomly split the traffic to the site in two groups so that 50% of the visitors see the A design while the other 50% sees the B design. By monitoring how users in each group react, we can calculate the conversion rate of each group and, in case there is a statistically significant difference between the two, declare a winner design. As you know, our Nelio A/B Testing plugin for WordPress allows you to easily create heatmaps and A/B tests of pages, posts, themes, widgets, products, custom types, headlines, and menus and view the results on your WordPress Dashboard. Well, here are some of the tests that worked the best for our customers to optimize their websites. I’m sure they can inspire you to improve yours. All, and yes, I’ve said all of our Nelio A/B Testing clients run heatmap experiments. But, what information do heatmaps provide? The most important thing is that they allow you to see where readers are focusing their attention and what areas of the web they click on. Most customers have heatmap experiments on the main page and on the pricing page. Some also use them on the blog, but they are a minority. What kind of A/B tests do they perform? And, above all, what experiments are giving them the best results? Below I’ve selected some of the ones that have had the most impact on CRO. The A/B page test allows you to create two or more different versions of any page on your website to analyze what works best. This type of test is the most popular among our customers. What experiments were the most effective among our customers? 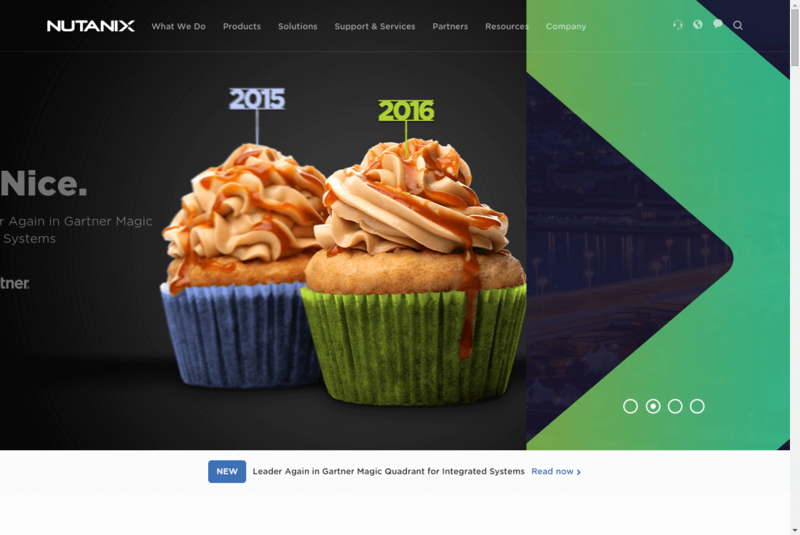 Changing images: that’s a pretty common test on home pages. One company carried out this type of experiment four times (they showed a group of people, an office, a desktop…) and, even though the first three attempts didn’t result in statistically significant test, the fourth did. The latter experiment showed an image of a nice team of three youngsters working and it proved to be overwhelmingly successful. Does this mean such an image will always work better? I’m afraid it doesn’t—another company with a similar experiment had as a clear winner the image in which it was shown, simply, the computer screen with the image of the software. You have to try everything every time! Changes in the copy: some customers, after only changing the description of the service they offered, improved their conversion rate from 7% to 11%. Change the call to action text: a car rental company achieved a conversion of almost 5% with “Signup in 30 seconds” over the 2.5% they had with “Request a call back”. 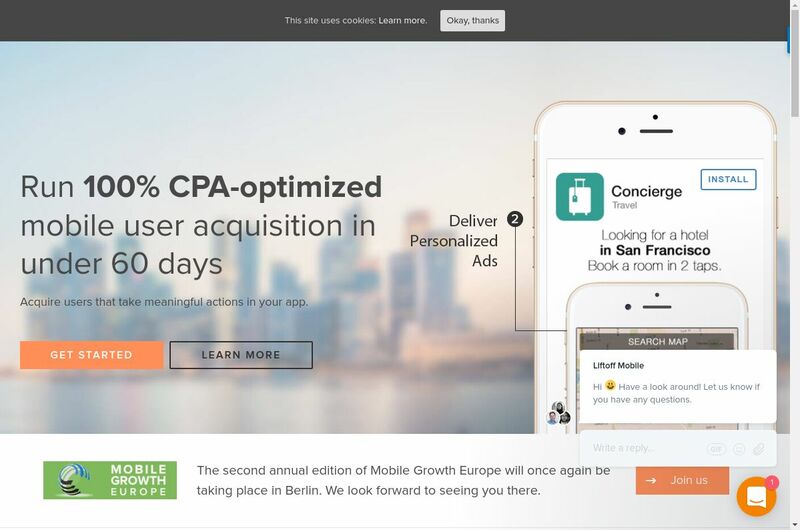 Positioning of the CTA button: a customer was able to improve a conversion rate from 6.25% to 50% just by positioning the “Get Access Now” button almost at the top of the page. Positioning the product clip: for one of our customers, positioning the video at the top of the main page meant doubling the conversions. Order in which products are displayed: companies that offer 2 or 3 plans play with the order in which they show their plans. 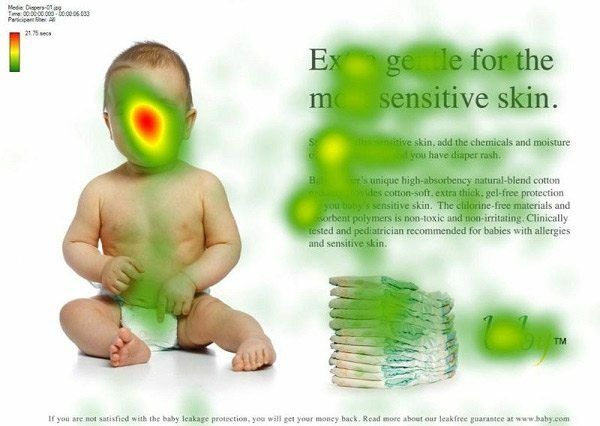 Usually, heatmaps show how people tend to focus on the one on the left, but it is not necessarily the one that ends up generating the most conversions. Ordering them from cheaper to more expensive has proven to be, in general, the order that has a higher success ratio, but you should run you own test and draw you own conclusions. How prices are shown: a classic among our customers (even we ourselves have done it several times)! For example, one of our customers was a company that offers hourly services and run a test to compare a usual price per service or the cost per hour and you know what? The version indicating that the price of the service starts from a price had a conversion three times higher than the one showing cost per hour! Steps to fill out a form and make payment: a customer who offers documentation services for registering ships discovered that a shorter, one-page form represented 5% conversion, compared to the low conversion rate of the multi-step form they originally had. This type of test allows you to test the headline (i.e. title, extract, and featured image) of a post so that you always see the same headline throughout the web—in the post itself, in your home page, in a search result, and so on—and analyze which one generates more clicks. It’s mostly used by news websites and the results they get are very varied. If you need some advice, test headlines that are very different one from another—from what we’ve observed, experiments with similar headlines don’t usually give clear winners. This type of test is also, along with the page test, one of the favorites of many of our customers. Why is that? Because it allows you to homogeneously test widgets throughout the whole web. For example, a customer tested two different color and layout versions of the text in the footer to subscribe to their product. The alternative was to double the number of subscriptions. Top WordPress 2015 @inc5000 Websites. WordPress use in the best companies @inc5000 (2016). 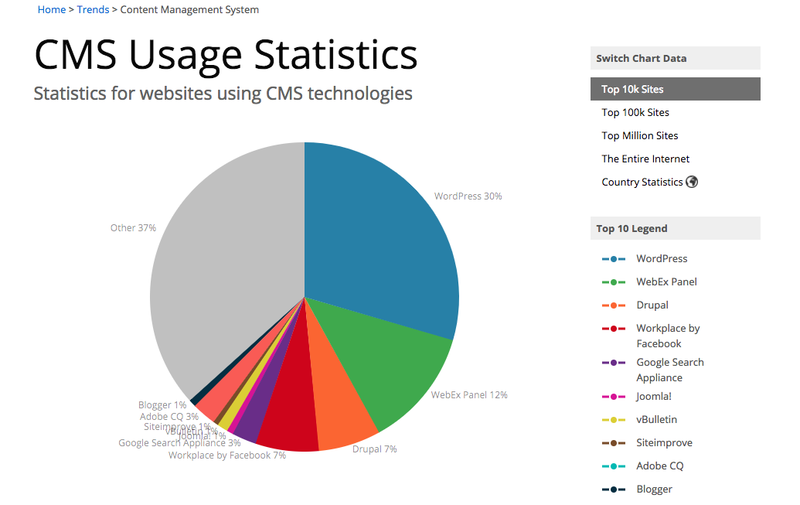 On the one hand, according to BuiltWith, the use of WordPress in 2017 of the 10 thousand best websites is 30%. Not bad at all, huh? On the other hand, this year 2017 there are 54 of the top 100 companies in @inc5000 that have their websites in WordPress. That is, more than 50% of the fastest growing companies in the last three years use WordPress. Cool! To show you a little bit what kind of businesses we’re talking about and the look of their websites, I compiled a list with the 16 WordPress websites of the top 30 in Inc. 5000. Hopefully, you’ll find the inspiration to set up one of the companies that will be featured in the 2018 report 😉. 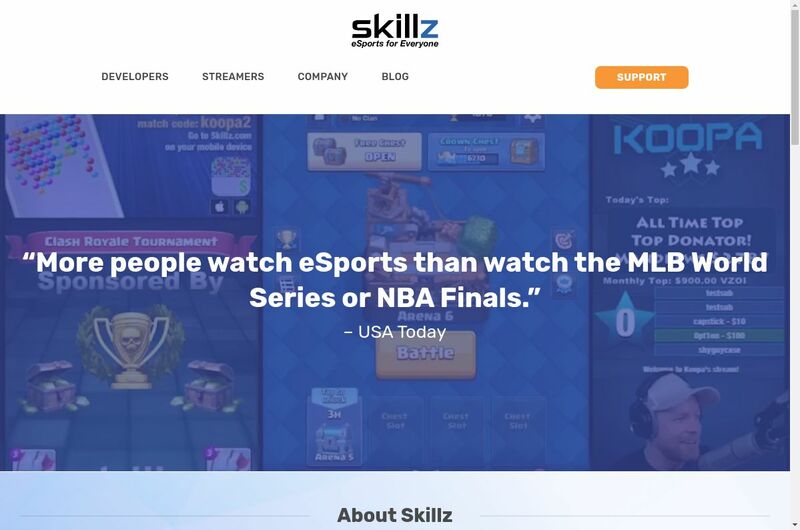 America’s fastest-growing company is the e-sports phenom Skillz. The mobile gaming streaming and competition platform provides a space for players to participate in tournaments and for fans to interact. It was co-founded in 2012 by e-sports fanatic Andrew Paradise. The company’s astounding 50,000% three-year revenue growth hit $52.4 million in 2016. Skillz uses the customized theme Bones Development developed by Michael Egan from Layertrade Design. EnviroSolar Power installs and manages solar energy services in both residential and commercial facilities. Founded in 2012, the Fort Worth company provides a free home energy assessment to customers, and if solar energy is a fit, it helps clients install and maintain their systems. EnviroSolar posted 2016 revenue of $37.4 million in 2016. 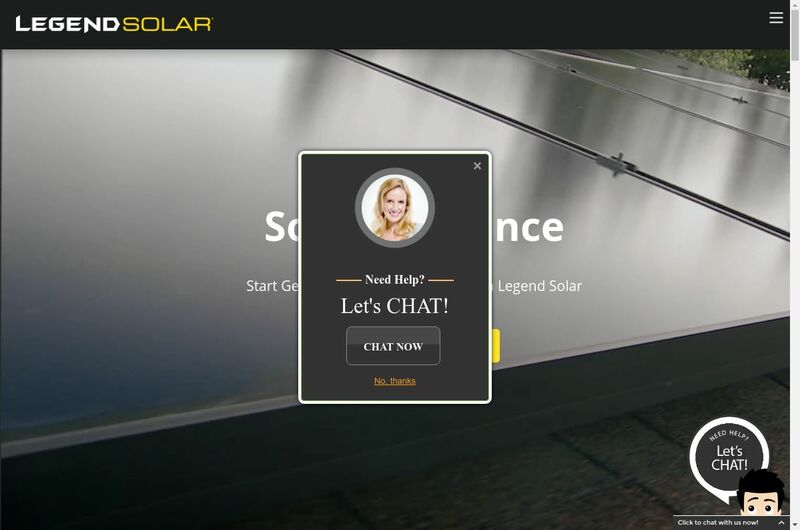 EnviroSolar’s blog uses the Good Energy WordPress theme designed by Themerex. 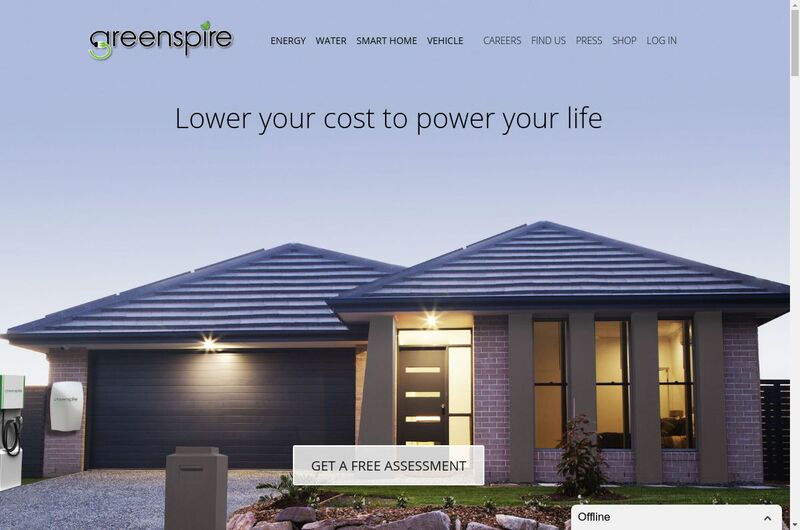 Greenspire was founded in 2013 with the goal of turning traditional houses into green ones. The company installs solar panels, provides insulation, and redesigns water systems to reduce waste. It also sets up home security systems and specializes in creating smart homes that can automatically limit power usage when no one is home. The Greenspire website uses the Kallyastheme, whose author is Hogash. 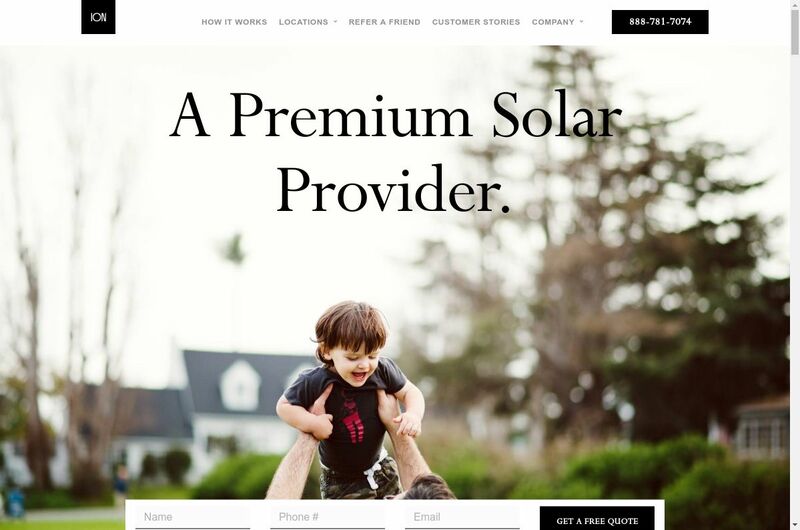 Ion Solar is a premium, full-service solar provider. They offer affordable solar solutions that allow their customers to enjoy the benefits of solar with little or no up-front costs. Their full service includes the design of the system, all required permitting, installation and inspection, and system maintenance, all for a fraction of the cost of traditional power and using all premium equipment. 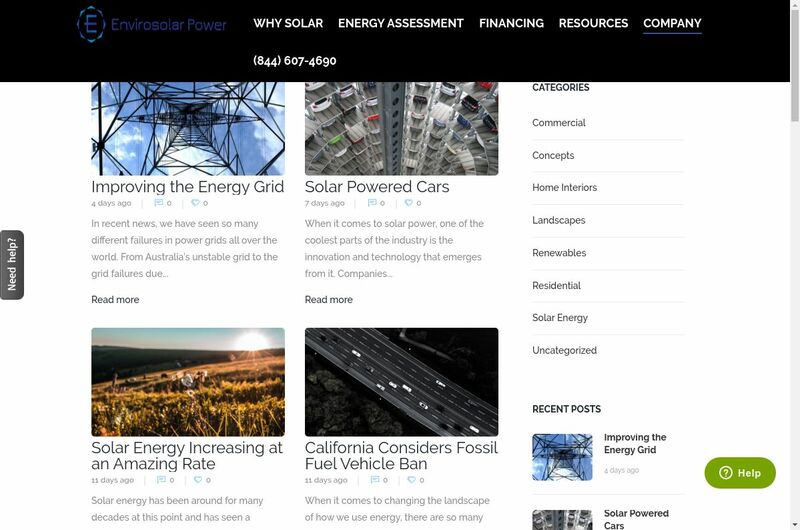 The Ion Solar website uses a customized theme called Ion Solar WordPress Theme, developed by Adduco. Legend Solar was founded in 2011 and focuses on giving people the opportunity to own their own power source. Their services include the design, installation, and maintenance of solar energy systems. 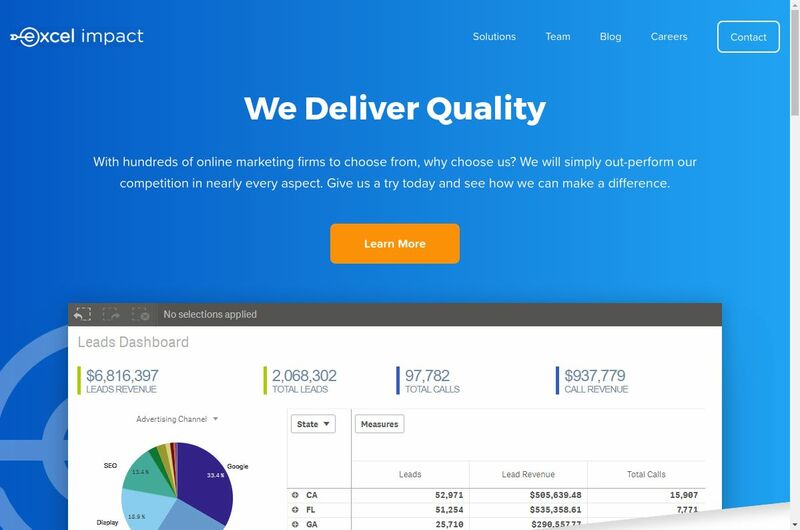 Their website uses a customized theme develop by Rumor Advertising. Club Pilates Franchise is bulking up. The fitness company’s stated goal is to open 932 studios across the U.S. by early next year—and it’s well on its way to achieving that milestone. The Costa Mesa, California-based company reeled in $26.7 million in 2016 revenue, an uptick of 21,319% from 2013. 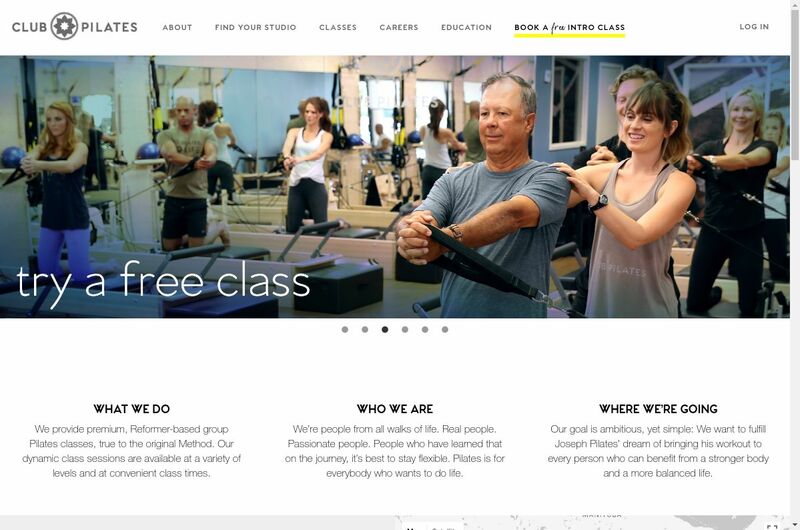 Club Pilates uses a theme based on _s or underscores by Automattic. GrowthPlay provides business consulting in the areas of staffing, messaging, and coaching to help companies grow revenue. Their website uses their own fully customized theme. Provides outsourced customer retention, customer service, back office support, and technical support services to government and commercial clients. 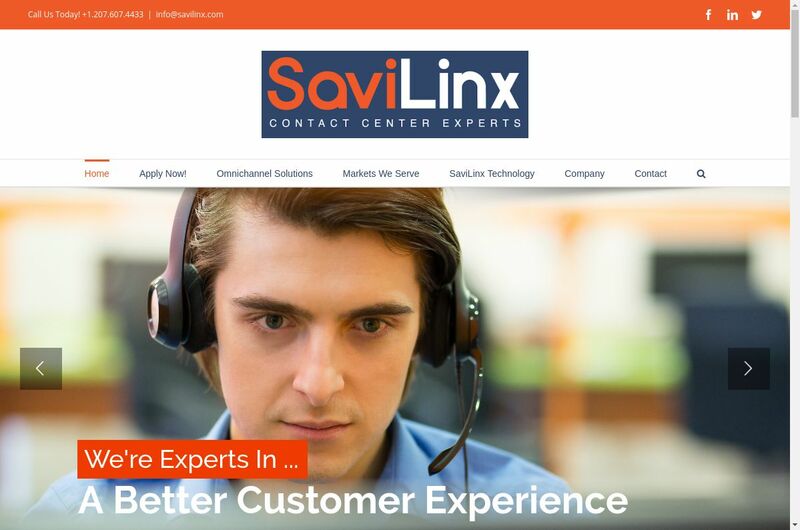 SaviLinx website is based on the Avada theme by ThemeFusion. Liftoff is mobile marketing platform on which clients pay when users make a purchase or sign up for an account. Liftoff aligns its incentives with clients’ through its business model—that is, Liftoff doesn’t get paid unless you get results. The Liftoff website uses a child theme of Runway Framework, whose author is Andy Wilkerson from Parallelus, Inc.
FormulaFolio Investments is an algorithm-based money manager and software platform, catering to independent financial advisers who need a hand managing their business, as well as client investments. Investment adviser Jason Wenk founded the company in 2012 by building an algorithm that automatically rebalances portfolios and makes trades according to market analysis and a client’s investment goals. 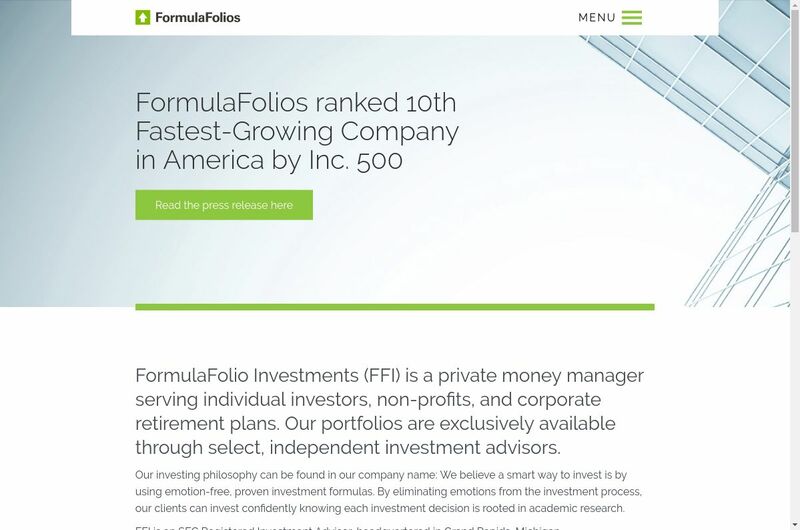 FormulaFolios has its website based on a fully customized theme developed by the digital agency Impact . 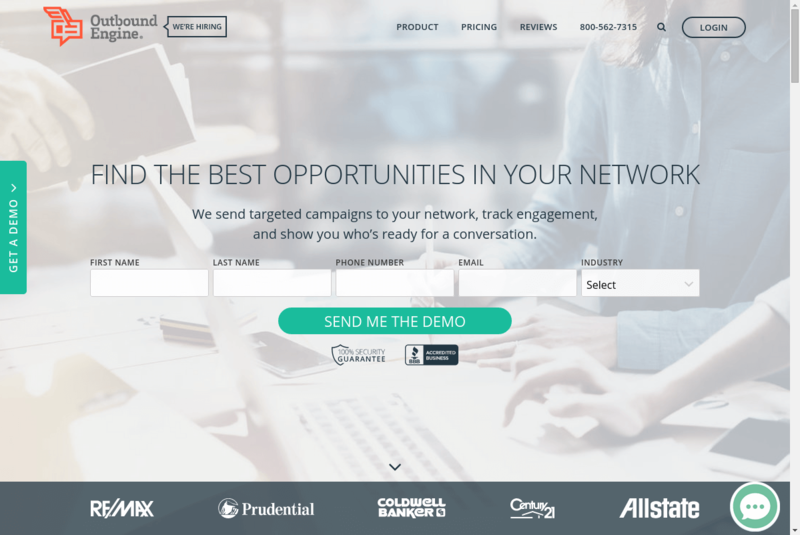 Forward Financing is a company based in Boston’s Financial district that strives to provide small business owners the financial access they need to capitalize and expand on their businesses with ease of mind. 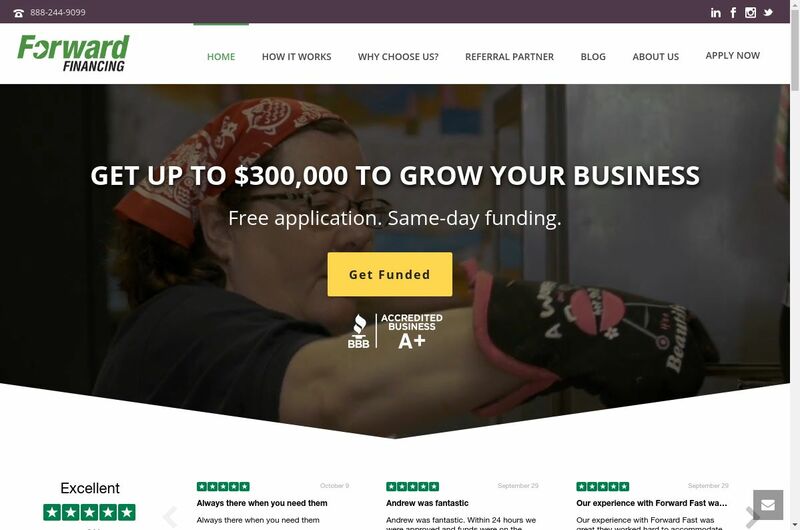 With a proven business model, and led by an experienced executive team, they’ve funded over 3,000 small businesses with working capital. Forward Financing has a website that uses a child theme of the Jupiter theme developed by Artbees. ShipHawk was founded in 2012 by Jeremy Bodenhamer and Aaron Freeman and offer a very powerful transportation management system (TMS). Jeremy was the owner of a pack and ship store and was frustrated by antiquated software and carriers’ inability to give customers accurate prices. Their goal is to give retailers, manufacturers, and distributors, large and small, B2B and B2C, across all product types, access to the tools they need to compete in an increasingly complex world. 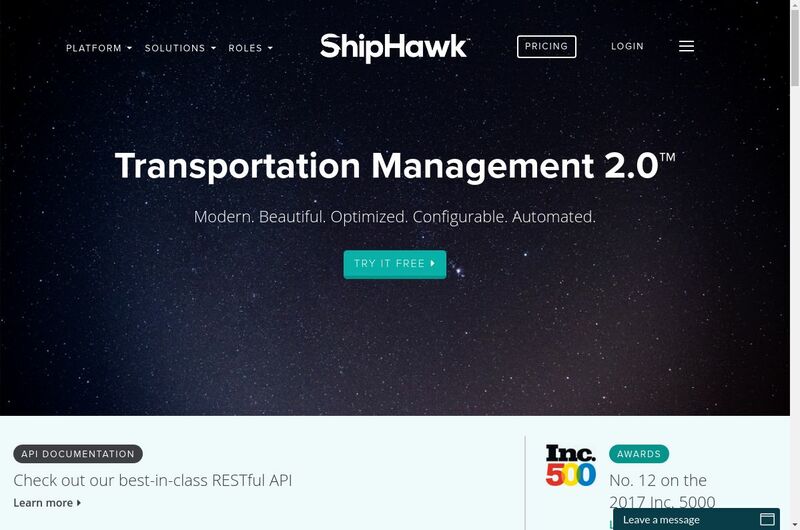 ShipHawk uses in its website the Base theme by UpTreding. 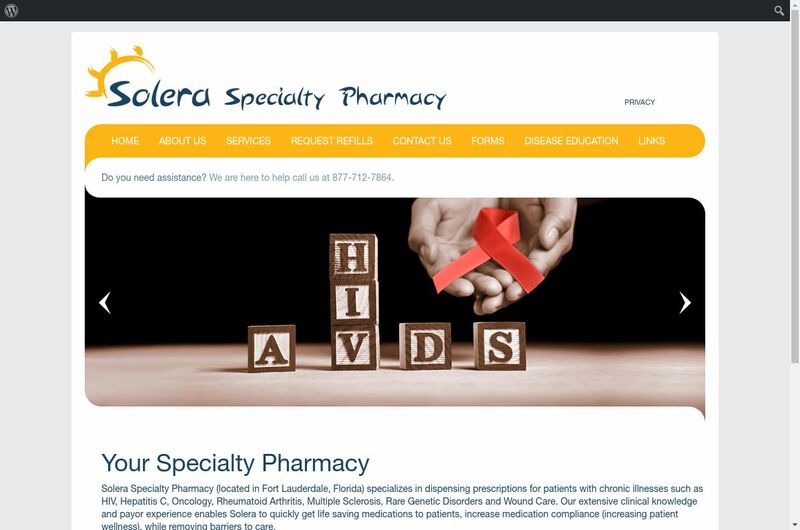 Solera Specialty Pharmacy was founded in 2013 and specializes in dispensing prescriptions for patients with chronic illnesses such as HIV, Hepatitis C, cancer, rheumatoid arthritis, multiple sclerosis, and rare genetic disorders. Their website uses a fully customized theme. Excel Impact is an online marketing company founded in 2013 that provides insurance quotes from nationally-recognized insurance agencies, with a specialty in medicare, health, and life insurance. 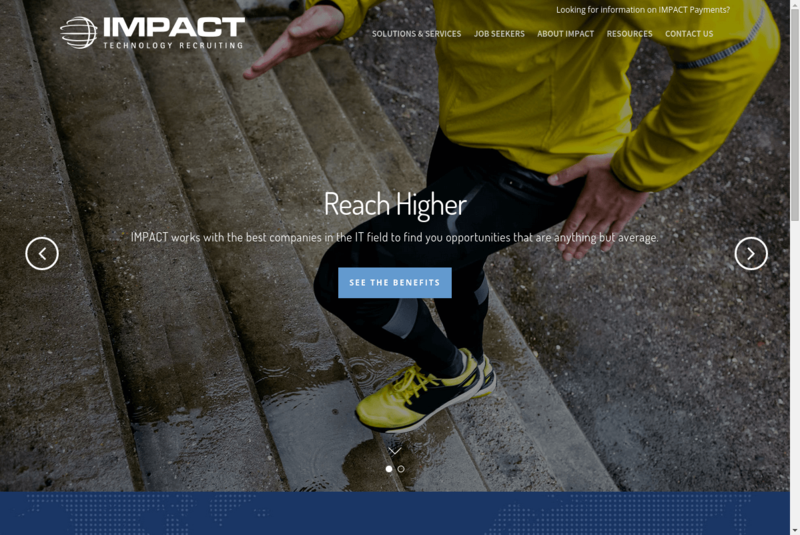 Excel Impact website was developed using a theme developed by App Innovators. Their website is fully customized. 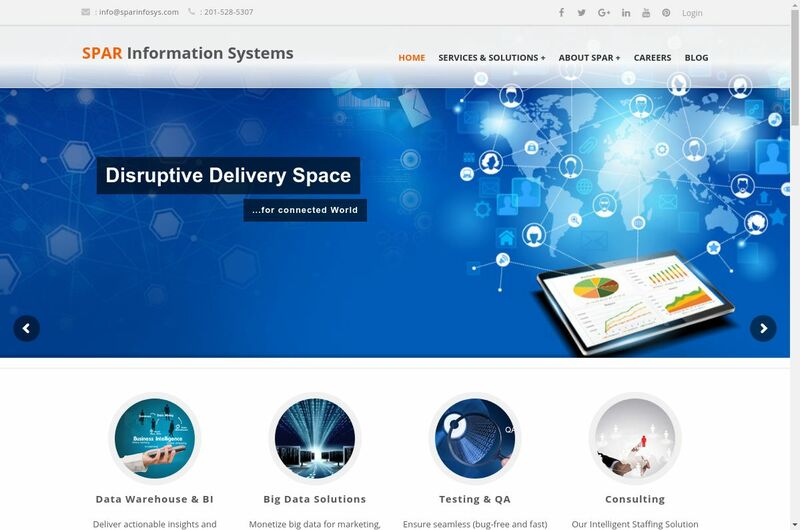 SPAR Information Services delivers enterprise-class solutions in Big Data, Data Science, DWH & BI, Cloud and Data Management to enable a company’s decision prowess. Again, their website is based on a fully customized theme. Will your website be the next one on this list? Let’s hope so! Featured image by Brandon Green in Unsplash. Last year I had the chance to attend to SmashingConf Barcelona, a web design-centered conference. As I already mentioned in my previous post about the conference, I was surprised by the outstanding quality of both the staging and the talks. The talk I like the most was Jen Simons‘, who presented some cool stuff that we’ll soon see (or should I say “we’re currently seeing”) in web development. Jen introduced us features like image cropping, dropping initial letters, cover sheets, multi-column layouts… I you want to know better how these (and other) demos work, check out her 2016 list, paying special attention to their source code. The feature that I loved the most was CSS Grid. At that time, CSS Grid was still under development and no browser supported it by default. However, Jen told the audience that “by next summer [this summer], all major browsers will already support CSS Grids, so you’d better learn how to use it” and, well, she was completely right. So, I think it’s past time we talk about this amazing feature and how you can use it in your own developments. 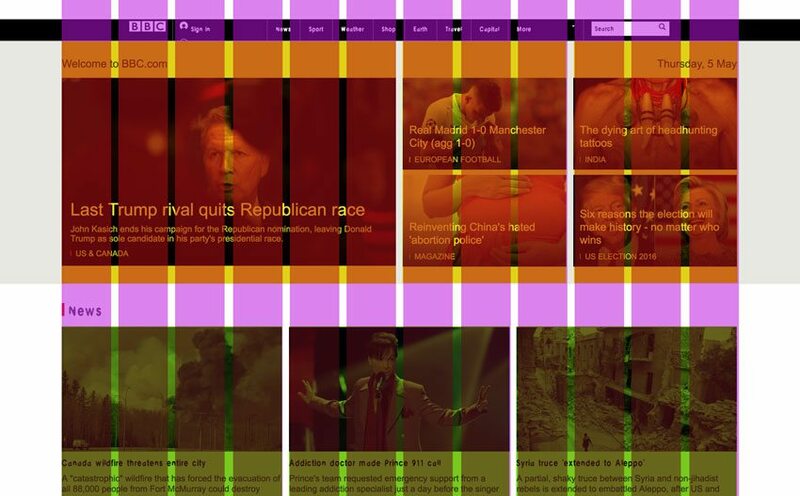 Grid with 12 columns shown in BBC’s website. (Source). As you can see, the web has two clear row sections: welcome and news. Both sections have an underlying structure of 12 columns, even though these two blocks use them differently. Thus, the first block is divided in two halves—on the left side, there’s a featured news; on the right side, there are four smaller news. The second block, on the other hand, divides the content in three evenly-distributed columns. If you’re familiar with frameworks such as Twitter’s Bootstrap or Foundation, you already know this 12-column structure. If you’ve ever wondered why they use 12 columns (instead of, for instance, 10), the answer lies in the flexibility it offers. 12 offers much more combinations than 10, because 12 has more factors—that is, it can be divided by more numbers— than 10. How Did We Use to Implement Grid Designs? 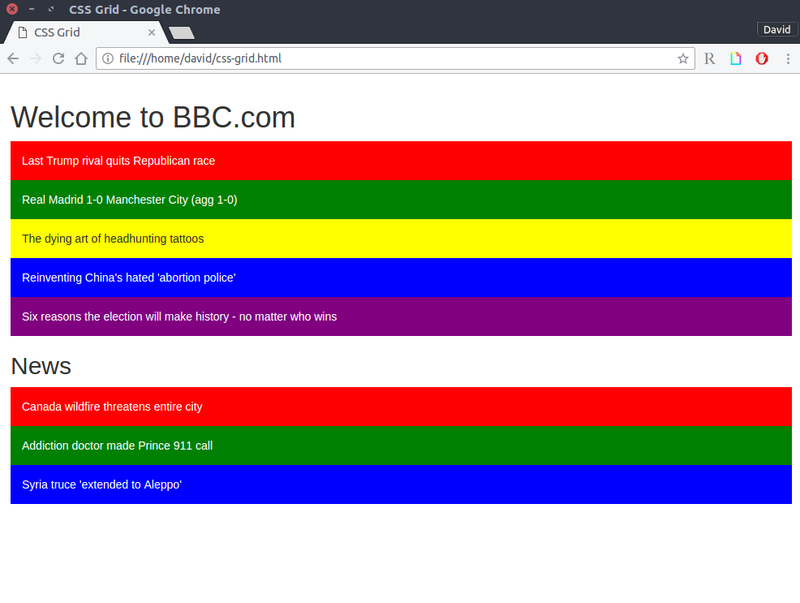 BBC’s layout implemented using Bootstrap. 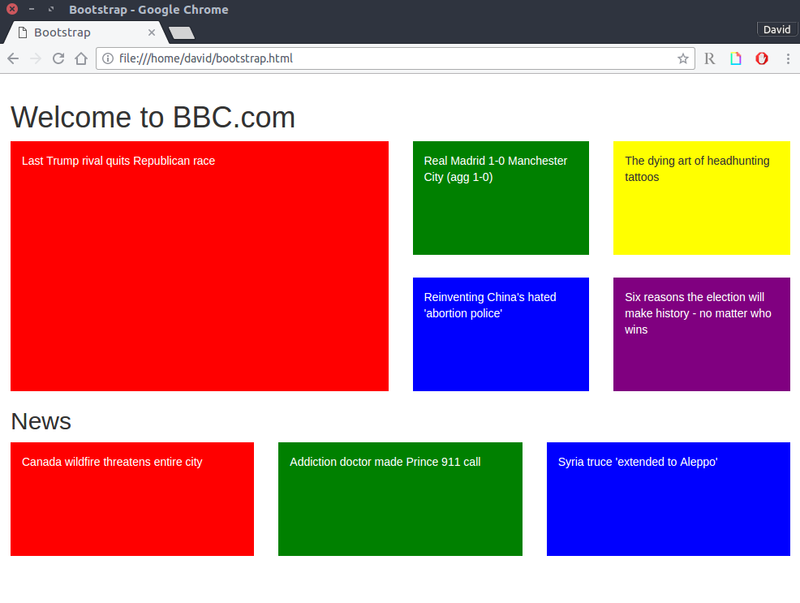 BBC’s website blocks without any specific layout. 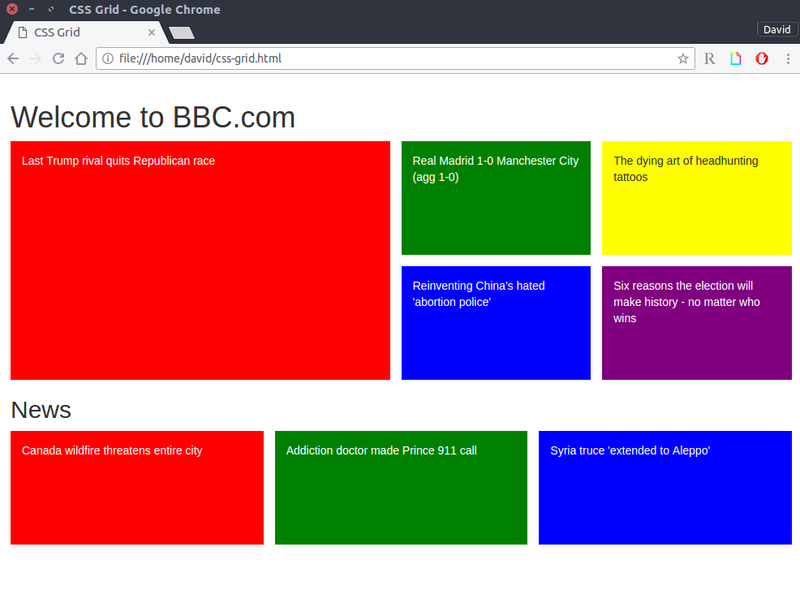 BBC’s website layout created using CSS Grid. Unfortunately, it’s not perfect yet—the first news should take 2 cells. Wow! Pretty cool, huh? 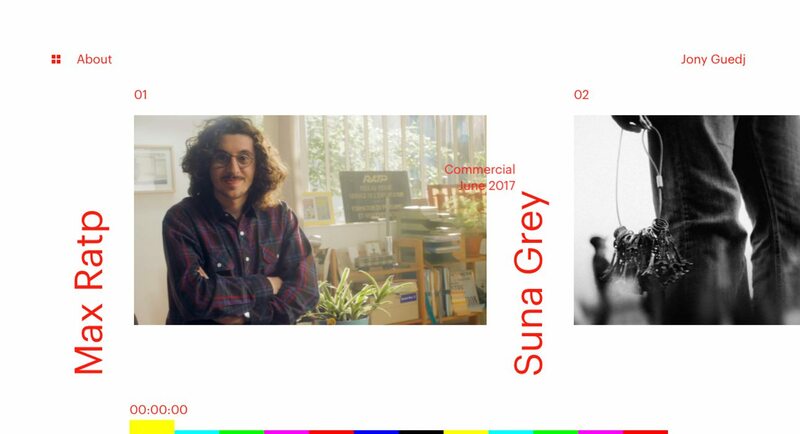 With just a few CSS lines, we now have a beautiful grid rendered by our browser. Each block has been automatically placed in a cell, without doing anything else. But the resulting page is not exactly what we wanted, isn’t it? What’s wrong? 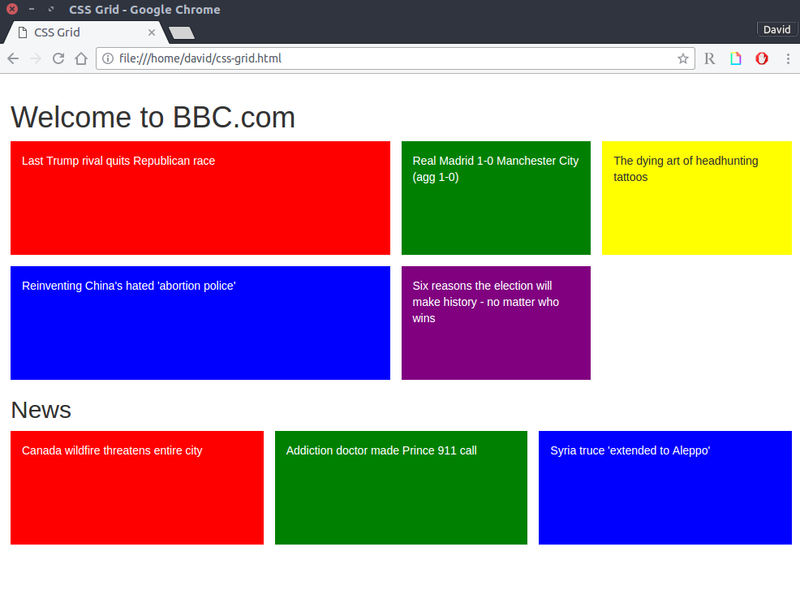 BBC’s website layout created using CSS Grid solely. Simple and elegant solution that looks amazing! 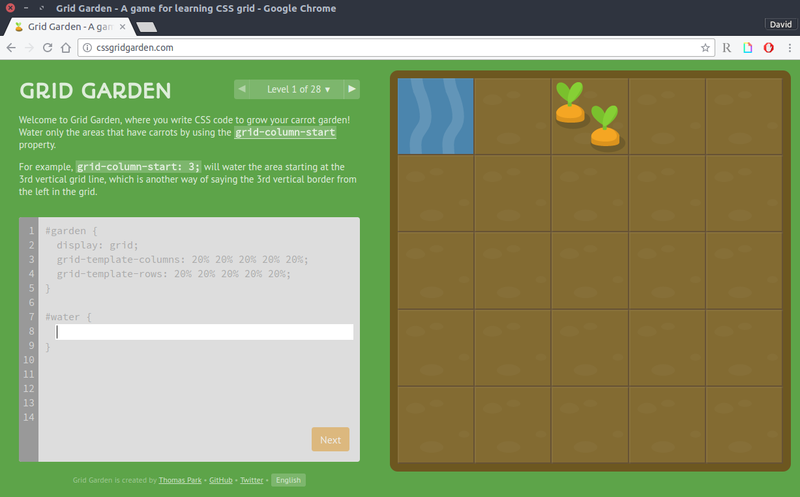 Learn how to use CSS Grid with this beautiful game. A Complete Guide to CSS Grid at CSS Tricks. I don’t think this website needs any introductions… Here you’ll find all CSS Grid properties, along with detailed explanations and examples on how to use them. The website is divided in two columns—properties that apply to the container element (which define the grid itself) and properties that apply to children. CSS Grid Layout at Mozilla. Probably less detailed than the previous resource, this website also contains some useful information about CSS Grids. We can finally define the layout of our websites independently from our content. CSS Grid will definitely revolutionize web design—it’s powerful and elegant. Learn this new technology and apply it to your new projects! The future of web design is TODAY. Featured Image by Dmitri Popov. Every year, Inc. 5000 ranks the fastest-growing companies for the last three years in the U.S , the Inc.5000 list. In this post, I would like to share our selection of WordPress websites included among the top 100 on the list Inc. 5000 2016. But first, let me share a significant figure compare to the last year’s numbers regarding the use of WordPress in the best companies of Inc. 5000 2015. Last year, we found in Inc. 5000 2015 that 42 of the top 100 companies have their websites in WordPress. That is, 42%. Instead, this year 2016 there are already 62 companies among the top 100 who use WordPress. More than 60% of top-100 use WordPress. WordPress growth is unstoppable, since we are talking about 20% more companies among the top 100 who use WordPress. 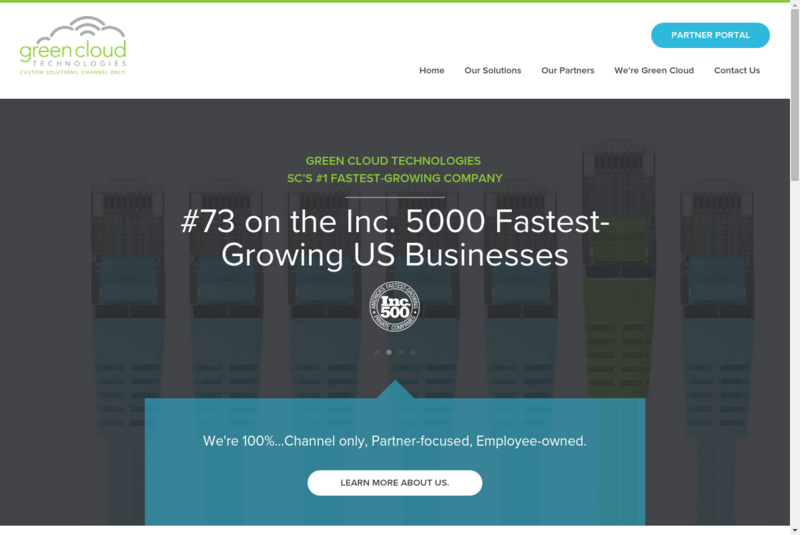 62% of the top 100 fastest growing companies in the US (@inc5000) use WordPress. But back to our topic. 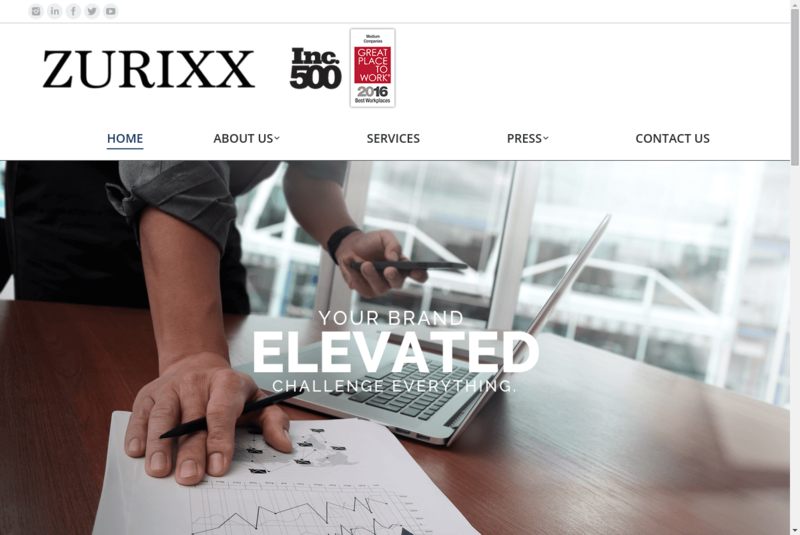 Next, we’ve selected 23 companies of the Inc. 5000 list that use WordPress. These companies belong to the following industries: advertising and marketing, business products and services, consumer products and services, education, IT services, media and software. The information about the companies described below is from Inc. 5000. I guess you are familiar with them if your passion is comics or collector’s items. Loot Crate sends a monthly themed mystery box of items–gadgets, art, apparel, and gear–to over 600,000 subscribers, aiming to foster the kind of geek community found at Comic Con and other events. 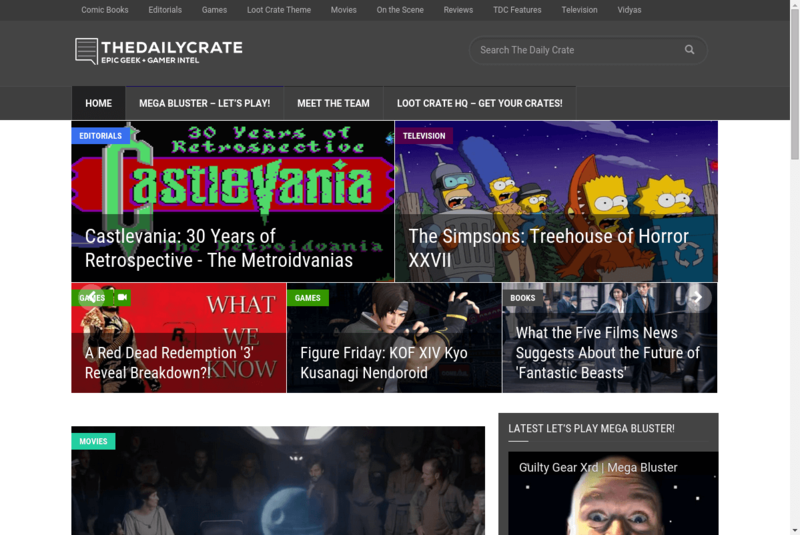 Loot Crate has a WordPress blog, The Daily Crate, which uses the WeeklyNews by MipThemes theme. Daniel Hermann and his buddy Sean McGrail loved going out to bars after work–and decided to add paint and a canvas to the experience. Using a licensing model, the company works with more than 250 “creative entrepreneurs” who book local artists to host painting events at bars and nightclubs across the United States. More Than A Buzz uses PressNews Pro on its website. 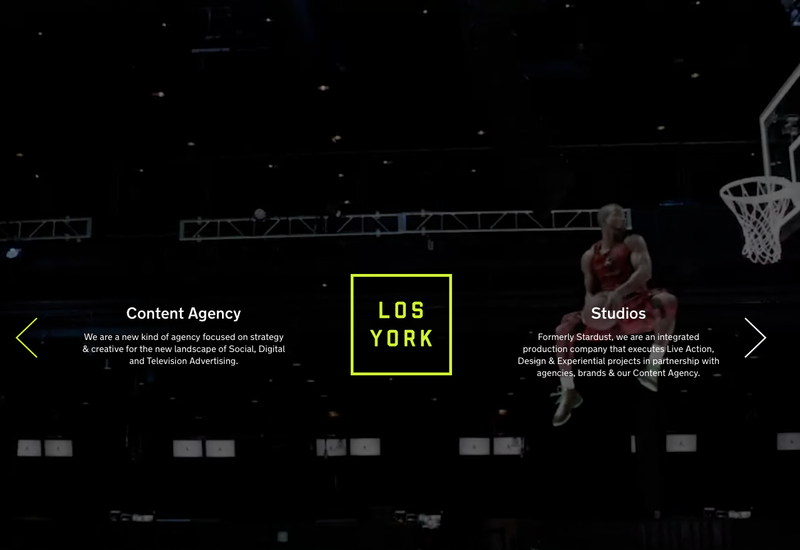 Los York provides strategy and creative services for social, digital, and TV advertising, and produces content for live action, digital, and experiential projects. Los York has attracted giant global brands like Nike’s Jordan, Morotorola, Toyota, Sonos and WeChat. Los York website use a customized theme designed by airnauts.com and includes spectacular videos. It is my favorite on this list. 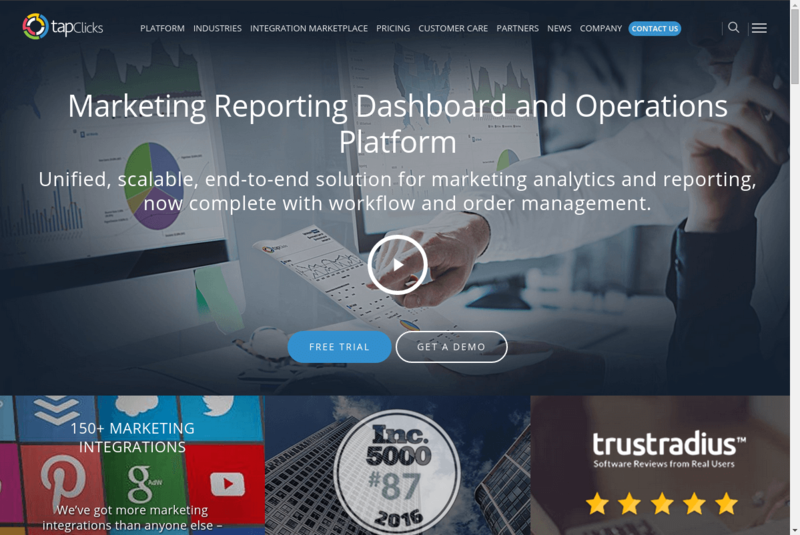 TapClicks develops marketing technology for agencies, media companies, brands, and enterprises. The website is based on Salient theme by ThemeNectar. 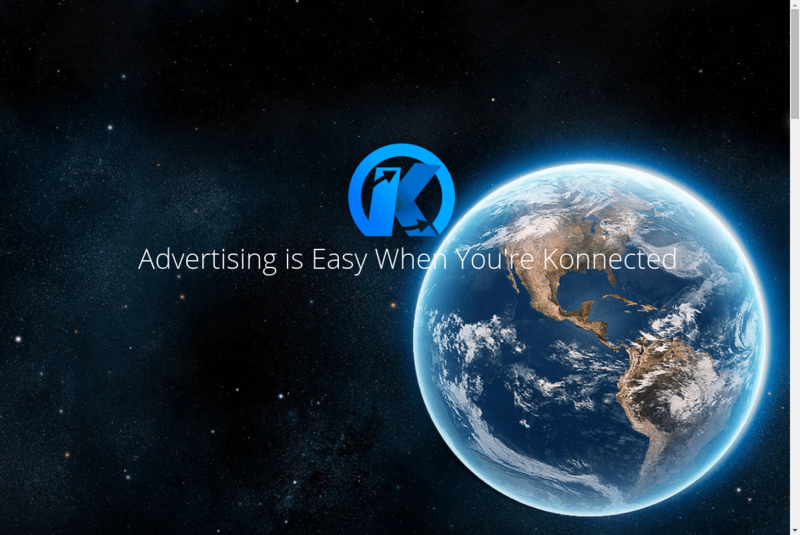 Konnected provides online advertising services that connect buyers and publishers to grow brands. The theme used on its website is OneUp by pixelentity. 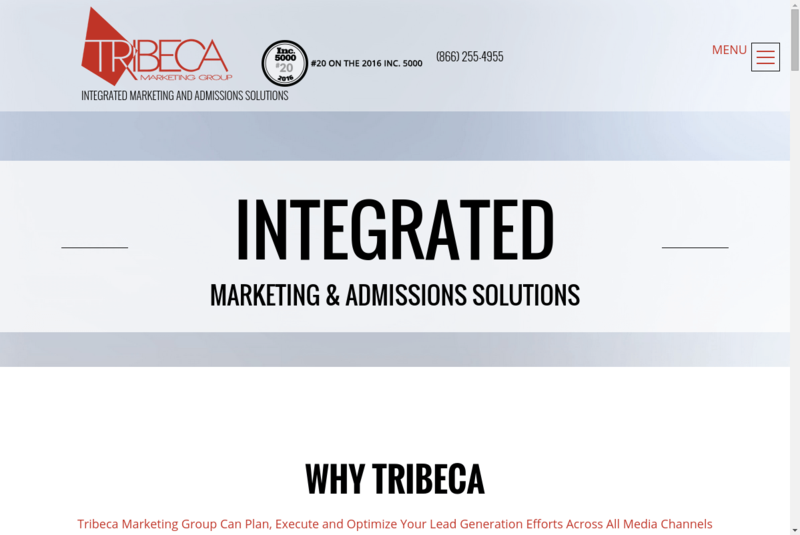 Handles all aspects of marketing communications for higher education clients, from strategy to campaign. They use a customized post designed by Webnamaste. Partners with internationally-known celebrities from ABC, A&E, HGTV, and DIY networks to help them monetize their fame by leading financial and real estate seminars. The website uses The7 theme by Dream-Theme. 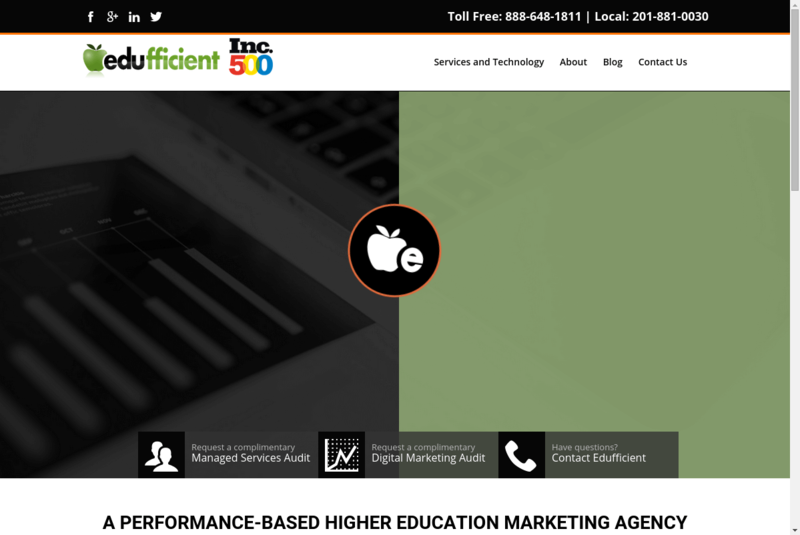 A performance advertising management agency specializing in higher education that helps colleges and universities grow through media buying, compliance, vendor management, technology, and analytics. The Edufficient site uses a customized theme designed by Michael R. Murphy from Erion Media. B2B social network that provides a collaboration platform, business services and access to new customers. Offers a suite of services that minimizes the cost and risk of global expansion by easing the challenges of hiring international employees and managing international payroll. Operates in more than 150 countries. 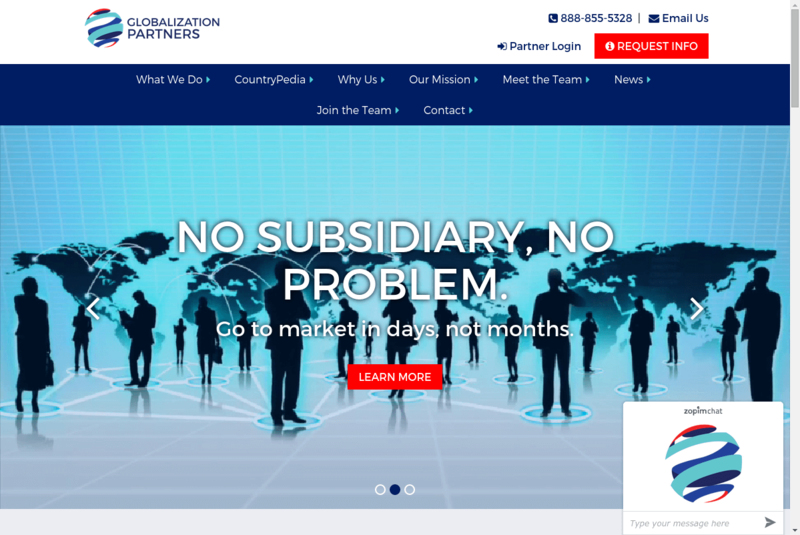 Yelling Mule is the developer of the customized theme of Globalization Partners. 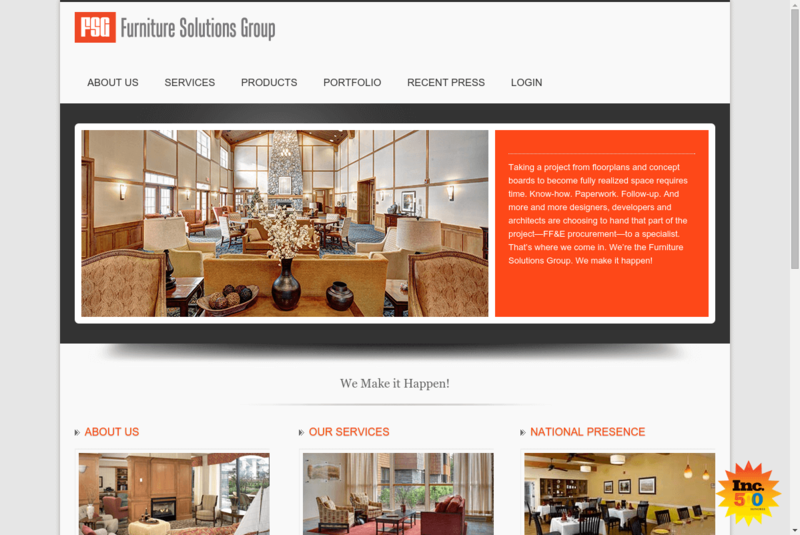 Supplies furniture, window treatments, artwork, and decor to senior housing centers, multifamily dwellings, and hotels. The website uses Hydra theme by pixelentity. Provides strategy, operations, technology and talent for legal departments and law firms worldwide. 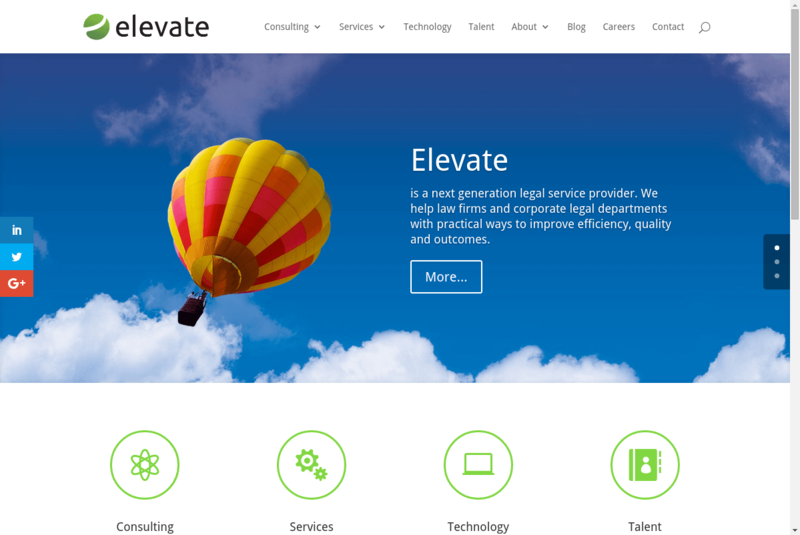 The Elevate Services website uses Divi theme by Elegant Themes. Provides management consulting, systems integration, ERP, enterprise architecture, communications, and infrastructure services. 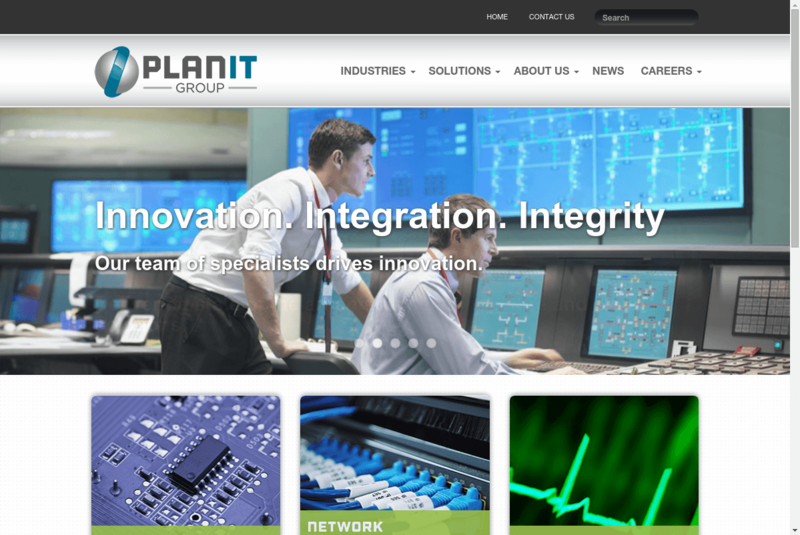 Work Labs developed a customized theme for the Planit Group website. 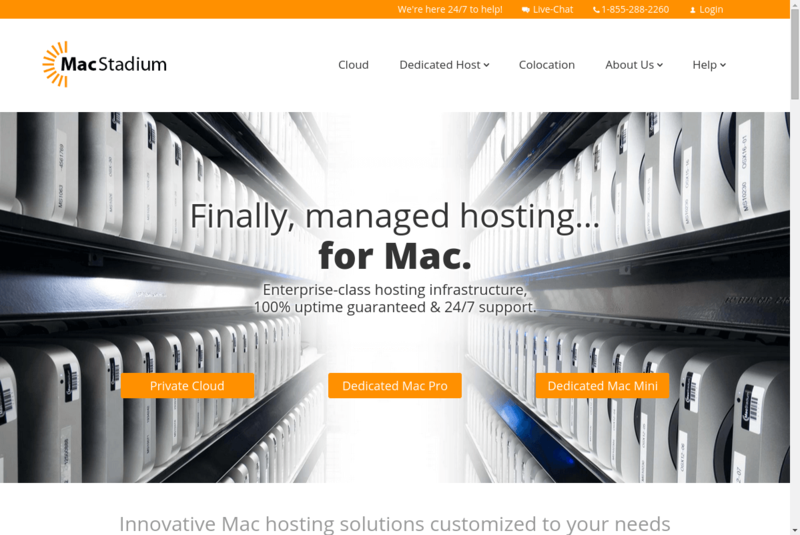 The largest Mac-centric hosting provider in the world. The MacStadium uses a customized theme. 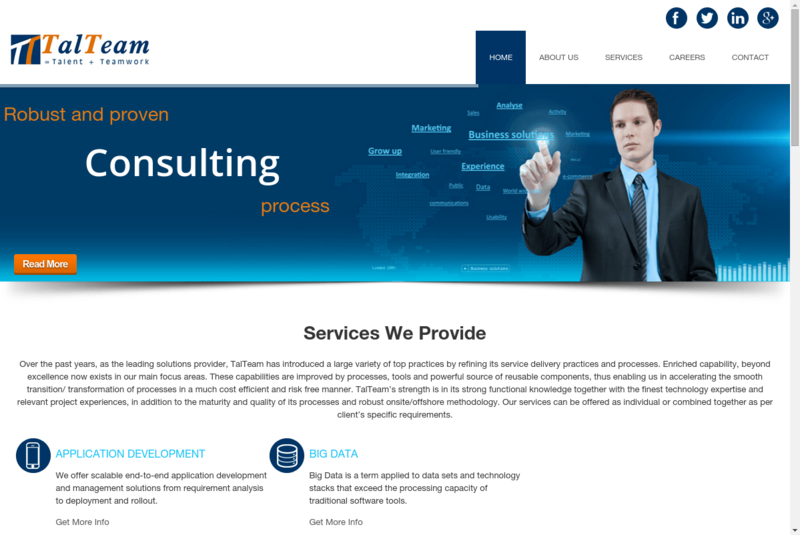 Provides software development and technology services to companies and government agencies. The website uses the byte customized theme. Provides application development, user experience, big data and Web-based data collection systems, customer relationship management, and Sharepoint services to large companies and government customers. The website used a customized theme designed by Tech Umbrella. A cloud data storage and backup company that merged with ANS Corp. in 2015. They use a fully customized theme. Provides process- and technology-oriented services to federal agencies and commercial businesses. The website uses Aperio theme by bradweb. A technology recruiting, staffing, and outsourcing firm. 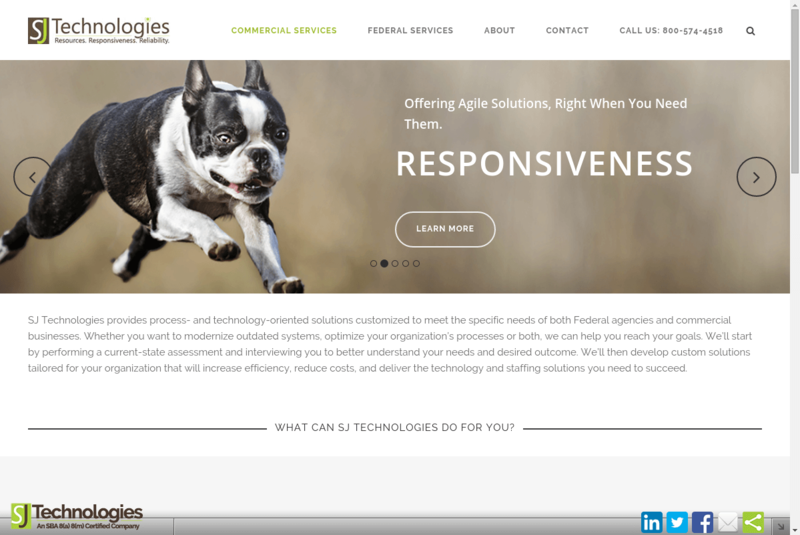 The website uses a customized site developy by The Jame Agency. A personal finance website that teaches people little known or unusual ways to make and save money. The website uses a customized theme. 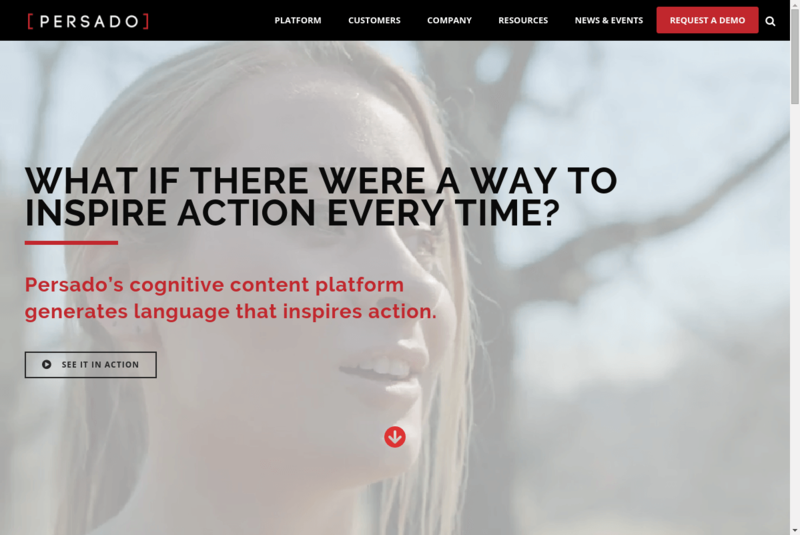 Develops a cognitive content platform that generates language to inspire action and is used by clients that want to maximize their engagement with customers. 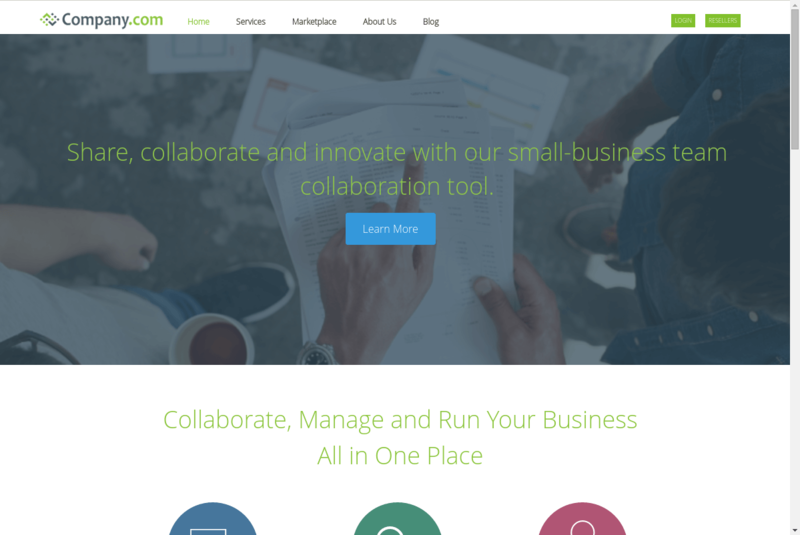 The websites uses a customized theme designed by Artbees. Delivers an enterprise cloud platform that integrates computing, virtualization, and storage. Provides a marketing platform for clients through the automated delivery of timely, tailored e-mail, social, and content marketing programs. The website uses a child theme of Bridge theme by Qode Interactive. Now, after seeing this show of successful websites using WordPress, it’s your turn: create your own WordPrss website and succeed! Featured image by Fineas Anton. 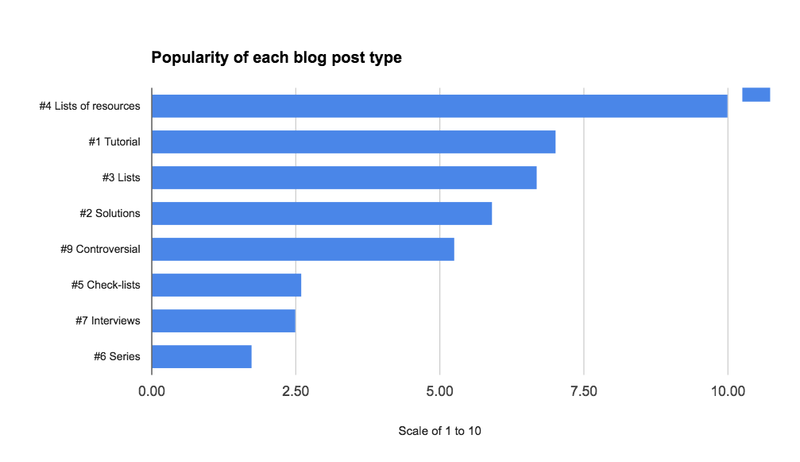 10 Blog Post Types – Which Ones Attract the Most Traffic? It earns a lot of shares. It delivers sustainable results for the long term. It differentiates the brand as a thought leader in the niche. It develops trust and credibility for your business. Producing this sort of content in a consistent way is difficult. It’s not a matter of waking up inspired one morning and having the idea that’s going to triumph. Even people with the most experience apply methodologies, dividing the process of generating ideas and creating content into a series of organized steps. Usually, the first step is deciding what to write about; that is, searching the topics you’ll be talking about in your blog. This is a complex step, but there’s plenty of “tips and tricks” out there that help you generate ideas. The most obvious way to get new ideas is to identify the keywords that attract your target audience and use them in your posts. Another funny approach is to start by selecting a random number (5, 12, 100) and adding a noun after it: “5 habits that…”, “12 tricks to…”, “100 resources for…”. This gives you a topic to cover and, somehow, the length of the post you’ll have to write 😉. Another option is to conduct an exhaustive search on what’s currently acquiring the most popularity (trending topics) using tools like Google Trends and use those as your next posts. Regardless of the approach you use for generating ideas, the problem for converting them into real content is finding the time to work on them. At Nelio, we know that what helps us the most to be efficient in writing content for our blog is creating an initial plan of our posts with Nelio Content in advance (in our case we try to do it about 2 months beforehand). This gives us an idea of the topics that we’ll cover and the deadlines we have to work on them. 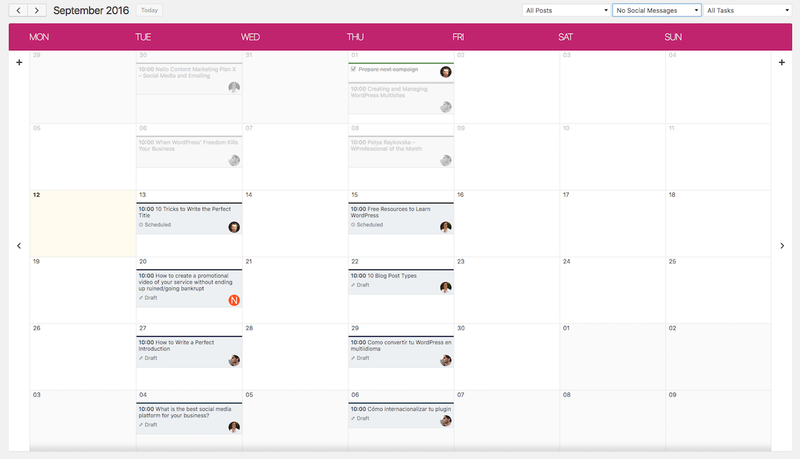 Screenshot of Nelio Content calendar showing only the published and scheduled post of a month. In this plan, we try to provide a variety of post types, so that different topics are covered and a certain diversity is ensured (just as when writing the monthly menu I look for a diversified diet… well, more precisely, this is what my husband does 🤗). So, what types of posts do we consider in our planning? Tutorials are one of the most popular post types to attract an audience. And if you think about it, it makes a lot of sense. The majority of Internet searches are made by people who want to know how to do or be successful in something. This type of posts are the ones that will help you position yourself as an expert in some areas. And independently of the topic, it’s clear that the tutorials’ key for success is to provide your reader with the sufficient level of detail that allows him to achieve what you promise on the article’s title. For instance, our tutorials in Spanish that achieved the most visits in 2016 are: Insertar Vídeo en WordPress con HTLM5 or Cómo cambiar el tamaño de fuente en nuestras entradas. This type of post may appear similar to the previous one, and the objective is the same, but the difference here is that it’s always about solving a problem that you might have previously encountered. While in many occasions, a tutorial simply explains how to improve things, without necessarily having come across any problem beforehand. Besides, in this type of post we want to focus on problems that are very common and which you have probably encountered more than once. For example, on our blog we have published Top 5 Problems All Bloggers Face and How to Overcome Them with Nelio Content. 9 Pshychology reasons why we love lists. Clearly this point had to start with the title of a list 😜. We have all written a list at some point not to forget something, and it seems we like them, as you can read in the article I have attached. Posts of lists can be like this post you are reading (yes, it’s a list) or like the 10 Tricks to Write the Perfect Title. They’re very useful posts and very easy to read. And the most important thing about this post type is that they provide you with a double reading: on one hand, a quicker vision of the relevant points (the list) and, on the other, a more relaxed account where you provide something more valuable to the reader. Just as Toni commented on the post of titles I previously mentioned, people like to know how long you’re going to keep entertained. Similar to the previous point, but the difference is that the author has actually made an exhaustive search to get the resources or links that can help the reader. As a writer myself, I recognize they’re rather tiresome to write and, if you want to do them properly, they take up a lot of time. Apart from the utility this type of posts can provide to your readers, one of the advantages is that you can (try to) contact or tweet all the sources mentioned in your post so that they help you promote it. Examples of this post type are: 65+ Free Images Sources to Beautify Your Posts or 20+ WordPress Plugins with 1+ Million Active Installs. I’ve put the posts in the style of check-lists in a separate category to the previous ones because they are usually a mixture between a tutorial and a list. They tend to include a list of steps or tasks to do in order to achieve a goal. Frequently, in this type of posts we can even download a detailed check-list or a more extended version with things to remember. Doing this can be a very appropriate way to use the fact that the reader gives you their email address and signs up for your newsletter (this way you’ll gain leads). An example of this type of posts could be the A/B Testing Checklist: from Good to Great Tests. When thinking of ideas to write about, sometimes some of them are too long to write in one single post. If this is the case, separate it in parts and create a series of posts. The reader will be thankful, and if your posts are good enough, they will be waiting for the “next chapter” to be published. Of course, series of posts have the advantage of being linked to each other in a totally organic way, and this helps the SEO. 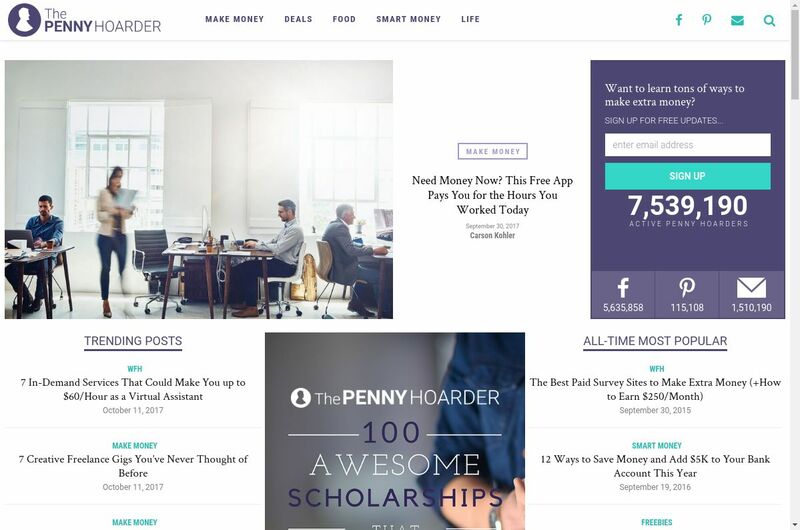 The last two series of posts we published on our blog were the three posts of How to Merge Multiple Blogs into One—Nelio’s New Website and the 10 posts of our Nelio Content Marketing Plan. Interviews are interesting for several reasons. Firstly, because as a writer it forces you to talk to leaders of your sector, satisfied clients, or other relevant people. You will always learn something new from them, and they will provide a totally different perspective to your blog than the rest of your posts. On the other hand, the interviewee can also share the interview with his/her audience, which will have an impact on the traffic of your website. This type of posts is usually shorter than the rest, since it tends to be about some news you want to highlight. For this post type, you have to be quick at publishing them, so you obviously cannot plan them 2 months in advance. This is precisely one of the great advantages of using Nelio Content, since it allows you to add and move all the posts by simply selecting-dragging-dropping. And all the promotion messages on your social networks associated to the posts will be automatically moved with them. The Editorial Calendar highlights all the elements that are related, so that you can easily identify which social messages and tasks belong to a certain post. This type of posts discuss a theme that your audience is passionate about and are ideal to interact with them. For instance, David’s post When WordPress’ Freedom Kills Your Business generated a very interesting discussion on the Facebook group Advanced WordPress. Polemical or controversial posts are characterized by having a provocative title (I would even add, a title that you don’t expect to read) and they’re the most fun to write. However, if you have created a truly polemical title, be ready to receive all sorts of comments and criticisms (both positive and negative) and learn to answer them with elegance. If your skin is too soft, I don’t recommend you to walk into a field of eggplants. There’s nothing like a good story. The posts that explain stories tend to be the most pleasant and attractive to read. Stories get you hooked. And they also allow you to keep adding details or reflections that you may want to highlight about the story. This is the format we decided on for our post Is It a Success or a Failure to Merge Our Blogs? 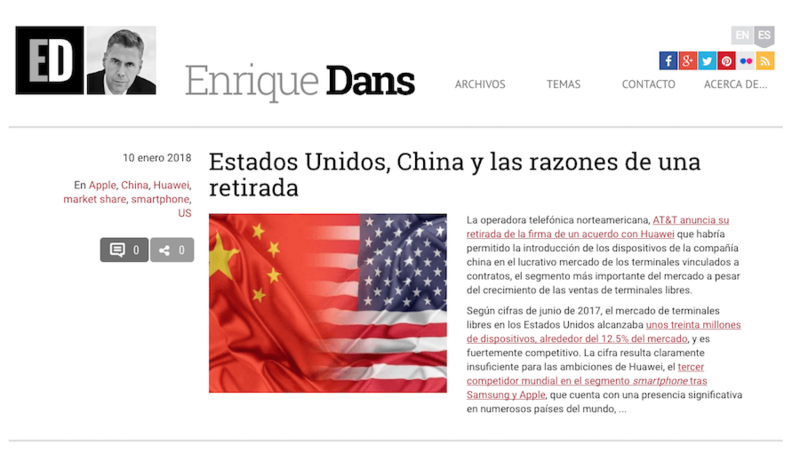 Is It a Success or a Failure to Merge Our Blogs? Of course not, there are plenty of other types of posts that are also very attractive: computer graphics, videos, case studies, podcasts, comparisons of tools, expert opinions, competitions, etc., that we have also written or will eventually write. Are They All Just as Attractive? Knowing what post has been the most popular in a determined period of time on any blog can be just as simple as going into Google Analytics and seeing which one had the most visits during that period. But I found it interesting to do the following analysis: what type of posts of our blog have been the most read in the last 3 months? I selected three months because this has been the period that more or less coincides with the merge of our blogs. In order to do so, on the section of Behaviour » Content of the site of Google Analytics, I added a filter to select only the URLs from posts of the blog. I exported a spreadsheet of the 100 posts that received the most visits, which supposedly constitute to a bit more than 85% of total posts visited in these three months. Then, on the spreadsheet I added a column named Category, where I indicated the type of post to which each of the 100 posts belonged to. It wasn’t always easy to decide whether it was a check-list or a solution to a problem, but… well, we ended up with a pretty good approximation. Since it is clear that we haven’t published the same number of posts on each category, I calculated the average visits per post received for each of them. This allowed us to better compare the types of posts. The end result of the comparison of popularity of the different post types is graphically shown below. The previous graph shows that during the last three months, the most popular type of post, with a scale of 1 to 10, was the List of Resources, followed by Tutorials and Solutions. In other words, our website particularly attracts an audience who is looking for resources and solutions to everyday problems. Next, we also find posts that have created some controversy. And finally, we have the check-lists, interviews, and series. a post can belong to more than one category at the same time. I also want to point out that we have only considered as metric the number of visits, but we have ignored other interesting assessments such as the reading time, abandonment ratio, etc. But in general, the analysis has helped us to corroborate the idea that people look for information on the internet mainly because they need resources and solutions to problems that they encounter in their day to day. Also, every once in a while, they’re curious and can find it enriching to read about some polemical topics. It has also helped us reach the conclusion that, apart from the lists of resources, the rest of post types don’t stand out in such a differentiated way from the others. Thus, it seems to make sense to plan the posts thinking of finding the equilibrium among all of them. Finally, if you haven’t done it yet, I encourage you to also analyze your blog and see what type of content has the most popularity. And if you’ve already done so, what does your experience tell you? 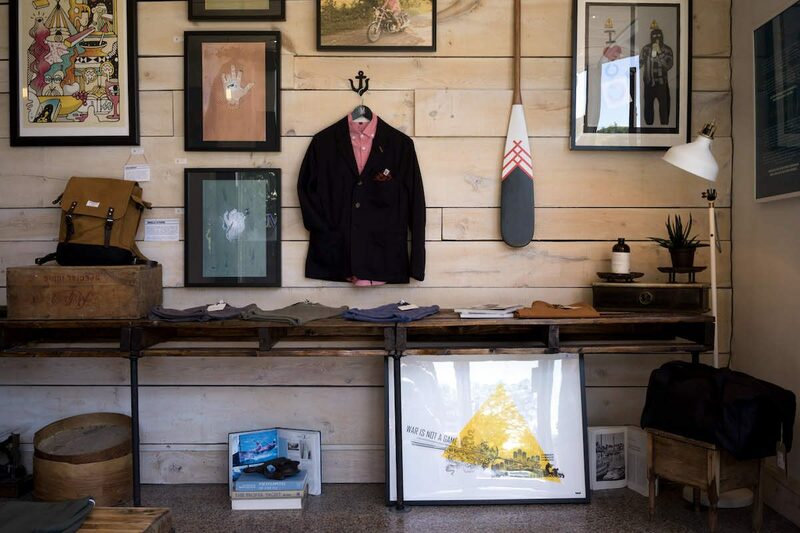 Featured image by Clark Street Mercantile.